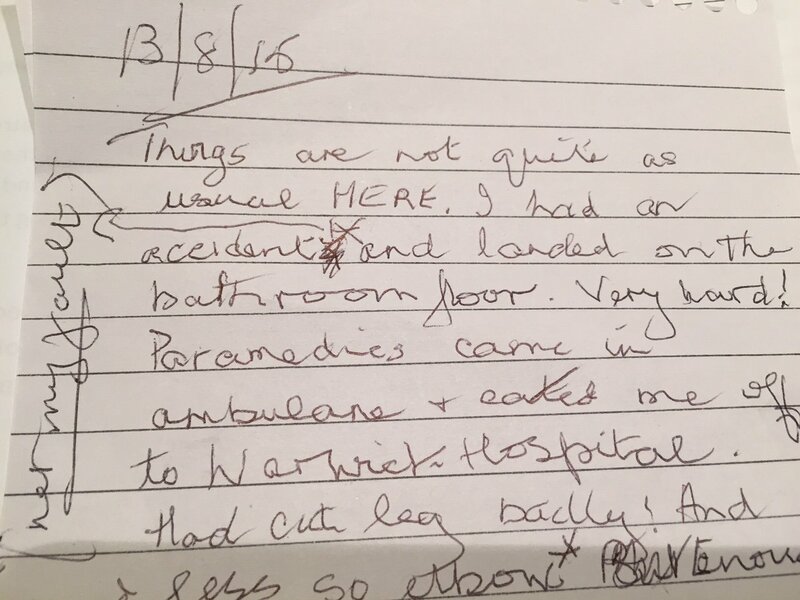 Florence Wilcock had promised to write a blog summarising ‘a year in the life of MatExp’: the story, from her perspective, of the 12 months since we first met. She emailed it to me and I felt really emotional opening the email. 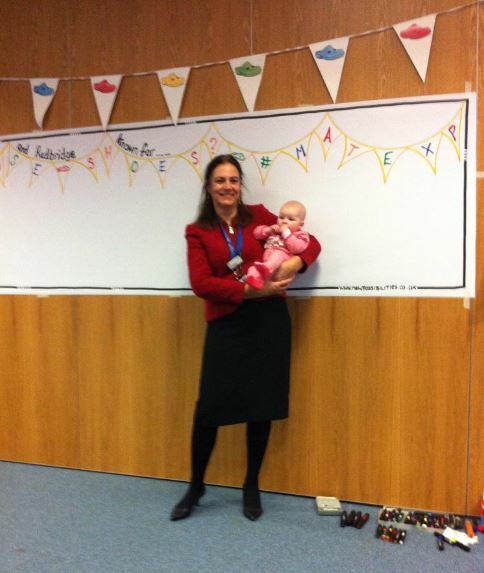 #MatExp has been such a huge journey for both of us. I wondered what she would say. I published her wonderful blog on the actual anniversary (31 July, 2014). As I am always interested in looking at things from different perspectives, it was particularly fascinating reading a story so close to my heart and with which I have been so closely involved, but through another person’s eyes. What would it be like to revisit the year myself? Some of the events and stories are the same; much is different but complementary. 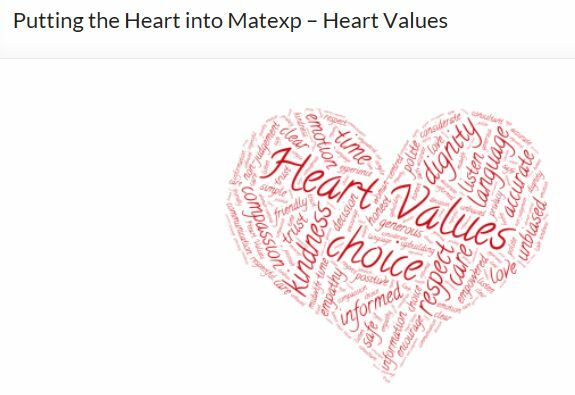 And it is fab to see others coming forward too and blogging about how we have all come together to build the #MatExp change platform, including Leigh Kendall. Anyway, here is my story. It had been an exciting time. Whose Shoes?, which I first created in 2008 as a facilitation tool, was catching on in new ways and bringing new opportunities. Having originally given up my job, jumped ship with a crazy notion, loads of passion, no funding or realistic plan, it had been a veritable rollercoaster. Without social media I would never have survived the long years of the recession where training budgets were slashed and everyone you built a relationship with moved on or moved out. Social media was proving to be a wonderful way to find like-minded people, passionate about improving people’s experience of health and social care and seeing everyone as whole people with preferences and aspirations, not just health needs. 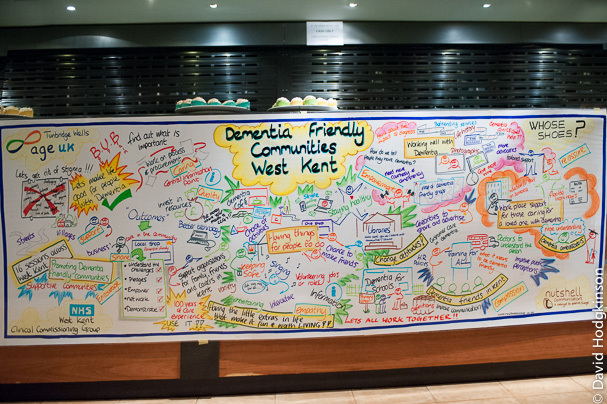 I had started working with passionate people to develop bespoke material around different topics, particularly Sandra Springett, Diane Aslett and some other forward-thinking people from Age UK in Kent. It was the dementia work with them, and experience of building #dementiachallengers as a powerful and enduring hashtag on Twitter that led directly to the maternity project with Florence. I received an email signed by ‘Miss Florence Wilcock’. Flo and I have laughed about this since as I didn’t realise that it was standard practice for consultants to sign in this formal maiden namey way. I was expecting someone very prim and proper, but when we first spoke on the phone she sounded really animated and engaging. I laugh at the way Florence often says she is confused about things… I was confused. 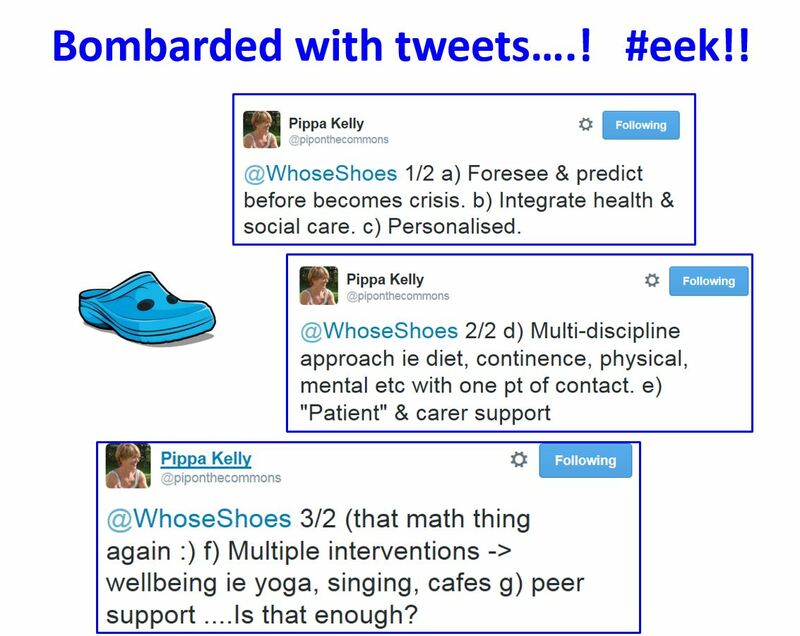 I linked Flo up with Kath Evans, Patient Experience Lead at NHS England as I knew Kath was a keen Whose Shoes? champion. I was summoned for a meeting at NHS England HQ in London, with Tracy Parr and Sarah Dunsdon from the London Strategic Clinical Network (LSCN), and of course Florence. I think other people were surprised when Flo and I had a big hug, even though we had never met in person before, but I am more used to tweet ups and for me this is normal when you know you are meeting someone special! The introduction was very welcoming but then suddenly the atmosphere changed and felt far more formal as I was invited to ‘do my presentation’. Hmm, I hadn’t got a presentation in any formal sense of the word. I just got out the Whose Shoes? board game, and showed them briefly how it worked and what it aimed to achieve. I showed them some of the existing scenarios. The atmosphere was very much us (me!) and them at that point so it cheered me up no end when a couple of guys appeared, abseiling down the building cleaning the windows! Luckily I had had the forethought to put together a few maternity specific scenarios. I had just printed them on coloured paper and pushed them round the table, inviting people to dive in and take a look. Tracy pounced on a particular scenario. I cannot remember what it was but a lively discussion ensued for about three minutes and I melted into the background, smiling to myself. Tracy suddenly looked a little embarrassed and apologised for ‘going off track’. Then the lightbulb moment. They had not gone off track; they had discovered and understood Whose Shoes? for themselves, something I cannot achieve through a conventional presentation. From that moment, we were all on the same page and the London pilot was born. A painless and natural birth. I remember leaving the meeting excited but wondering how it would all pan out. I had total confidence in Florence and was delighted that the first workshop was going to be at Kingston Hospital. For me it is all about finding the right partners. The backing from NHS England and SCN in London was going to be important but we needed to ensure that we involved women, a mix of people who had had a good and bad experience of maternity care, and avoided a top down approach! I was aware that we didn’t have long to source the scenarios and the hard work that would be involved in making sure that they were all authentic and crowd-sourced. Although Florence was relatively new to social media, it was brilliant to find a partner who was willing to give it a go and, right from the beginning, we have bounced off each other and been able to stir up a lot of energy on Twitter! On a personal front, I had my mum staying with me for several months after an accident meant she could no longer live alone in her own home; I was helping her move, rebuild her life and eventually sell the family home and move into assisted living. The extra time together meant we had plenty of time to chat and one of Mum’s stories became Florence’s favourite scenario! August was also my eldest son’s wedding… so time for some posh shoes! Things got really busy in September and I was very lucky to get the chance to visit the maternity unit at George Eliot hospital in Nuneaton. Again, this was largely thanks to Twitter and I was given a very warm welcome by Jane Pollock and her colleagues. I got some really good insights into current maternity services and only wish that the birthing pools, low lighting and other personalised options had been around when I had my three children! 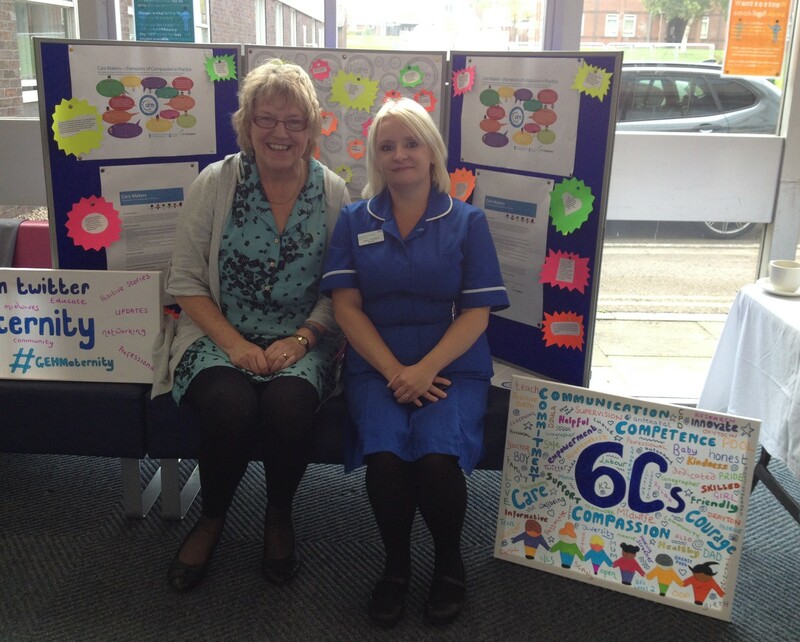 Around this time I also met Carmel McCalmont for the first time, Head of Midwifery at Coventry University Hospital. I learnt a lot about their innovative postnatal work. Laura Sinclair, a young friend of mine, had recently had her second baby and had a story to share. We were certainly not short of material for our crowd-sourced scenarios and also started to be bombarded by tweets and emails telling us what we should include! Some of the more in-depth scenarios lent themselves to Whose Shoes? 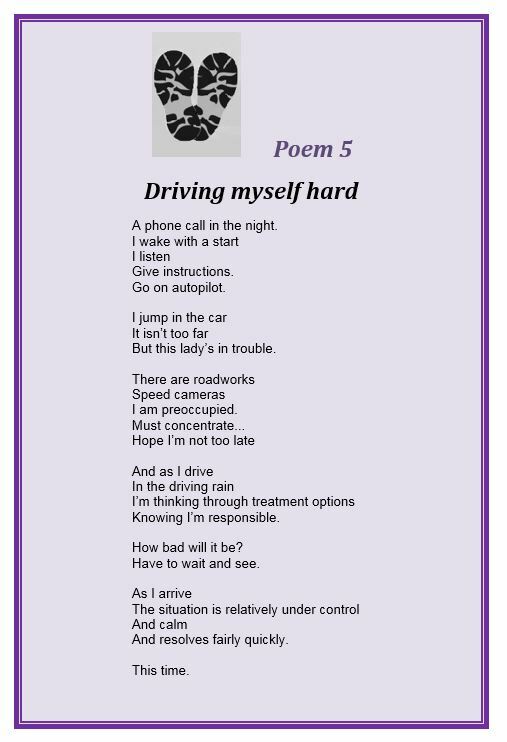 poems, particularly Flo’s stream of consciousness email that she sent me in the middle of the night after a difficult ‘on call’ and Jenny Clarke gave permission for us to include a couple of her famous ‘Skin to Skin’ poems! 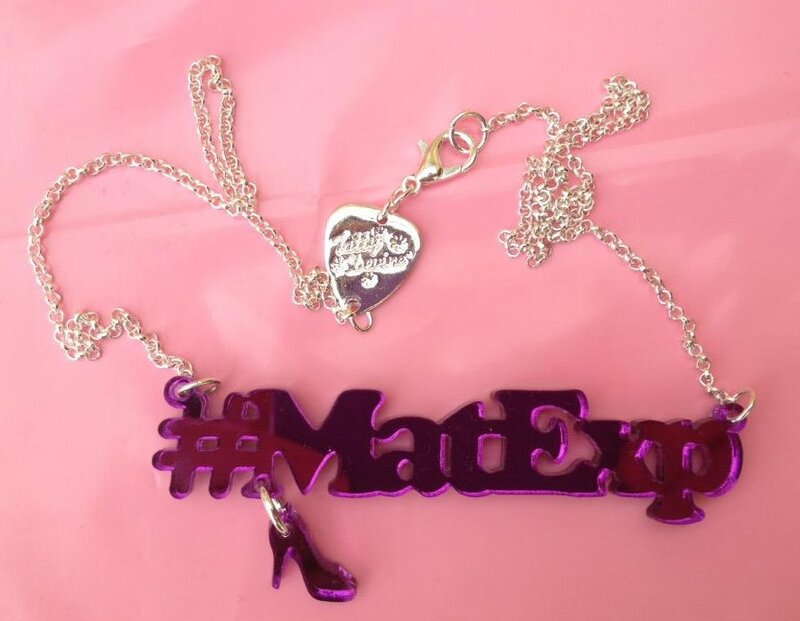 I started to use #MatExp as a hashtag and was thrilled when it began to gain momentum. I told Flo I had registered it on Symplur. She hadn’t got a clue what I was talking about but liked the idea! The timing of the Kingston workshop was quite difficult for me as it fell immediately before a busy week in Glasgow, where I was speaking at the European Alzheimer’s conference, being interviewed for a local radio station and running two quite demanding Whose Shoes? workshops, including a large community event at Dundee United Football Club! It was interesting moving between such different subjects and yet seeing the similarities in terms of what really matters to people: dignity and respect, choice and control, good communication and being listened to are central to everything! It was a bit nerve wracking wondering how many people we would have at the Kingston workshop – perhaps Florence’s nerves were contagious! But I knew the material that we had developed was authentic and fitted really well with the Whose Shoes? format, so felt very confident that the discussions themselves would be a success. I had been a bit frustrated that the NHS seemed to have an incredible eye for detail, in terms of templates and spreadsheets of attendees etc, but it was harder to pin down whether we could actually manage any refreshments! 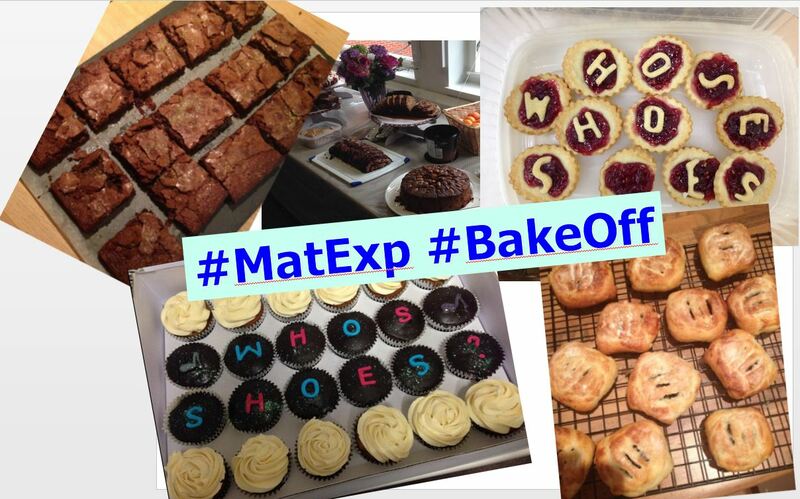 As so often, we were able to turn a potential problem into an opportunity and Florence and her team made some wonderful cakes – the start of the #MatExp bake-off, a lovely personal touch that has been continued in subsequent workshops and is now a key part of the package. My very last-minute approach to finalising slides for my presentation meant that I was able to include pictures of cakes people were baking -and tweeting – late the night before! 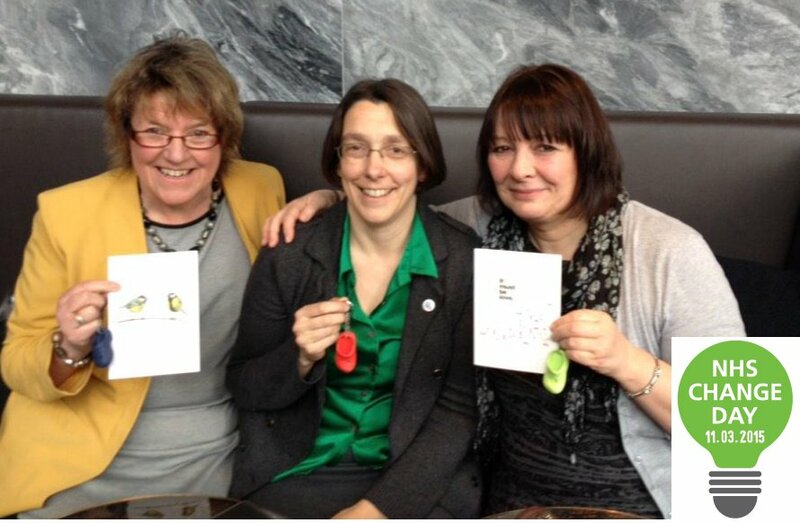 I travelled down from the Midlands with Anna, our fabulous graphic facilitator and Laura who was so keen to share her story that she made special arrangements to leave her young baby with her Mum – thank you Rosemary, a dear friend of mine! 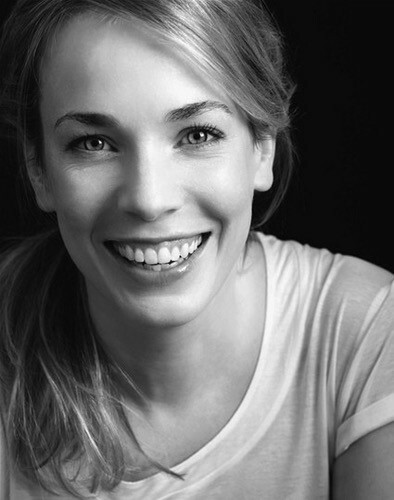 I was very moved when Florence also shared her own personal birth stories – she hadn’t told me she was going to do this so I got the full impact when she announced at the end of her moving ‘tale of two births’ that the mother in question was herself. This honesty and sharing of vulnerability set the scene perfectly for the Whose Shoes? approach, emphasising that we are all people rather than fixed into boxes called ‘professional’ or ‘patient’. One of Flo’s junior doctors subsequently said it was like meeting the teacher out of school and realising that they actually have a personal life too! 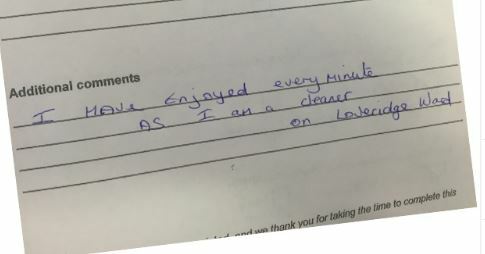 “The workshop was outstanding, better than in my wildest dreams and the connections and actions have been fizzing along ever since. 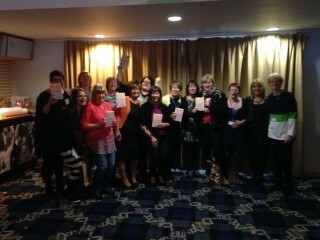 I spent the days and weeks after the workshop bumping into people and hearing about the progress of their pledges”. Flo set a very high standard in terms of ensuring that the workshops were action-focused. As time has gone on, this has led to a healthy competition between the participating hospitals to see who can show the biggest or most interesting improvements. 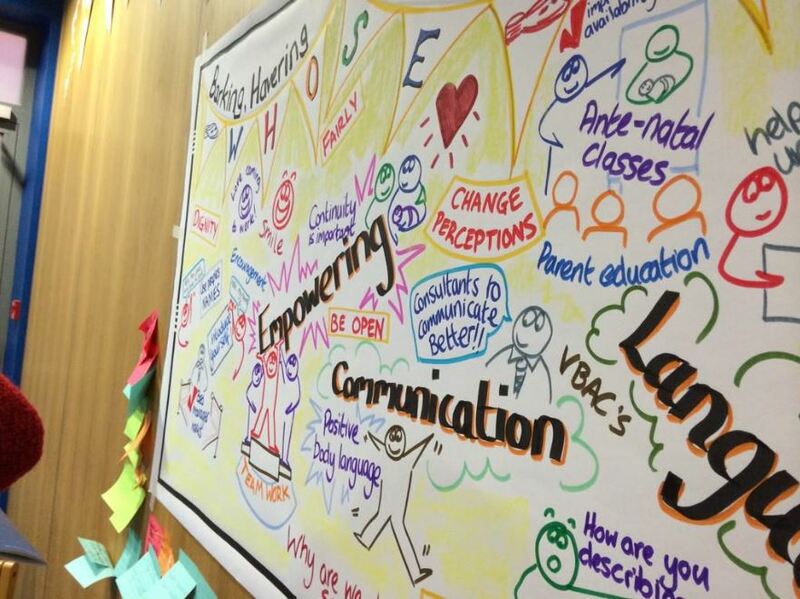 For my part, I got a real buzz when I first saw the graphic that Anna Geyer had produced ‘live’ during the Kingston workshop displayed on the stairs at Kingston Hospital – a constant reminder of the workshop and all the action that was (and still is!) flowing from it. Kath Evans had been a fantastic catalyst in bringing the maternity work to fruition. Ever since she attended a Whose Shoes? 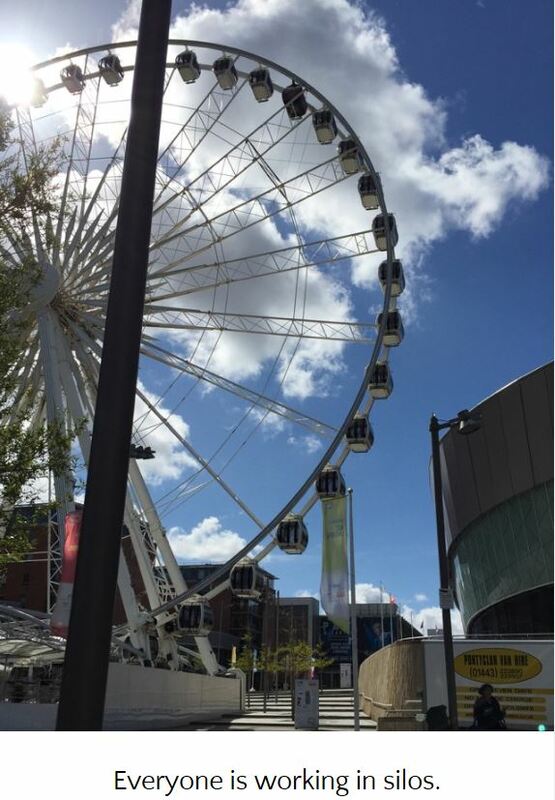 event in Coventry in the summer of 2013, Kath had said that the approach would work brilliantly in maternity and children’s services. November saw me starting to get involved in a project Kath was doing with some fantastic partners including Great Ormond Street Hospital around improving communications between children and young people, their parents and healthcare professionals. This led to us agreeing to use Whose Shoes? as part of the whole-day ‘CYP Me First’ masterclass that was being developed. It was good to see the cross-fertilisation of ideas between this and the maternity project. The networks were ever expanding. I love connecting people and it gives me a particular pleasure to see passionate people (my friends!) connecting across different topics, who would never normally come into contact with each other. On the maternity front, the next workshop was Lewisham. 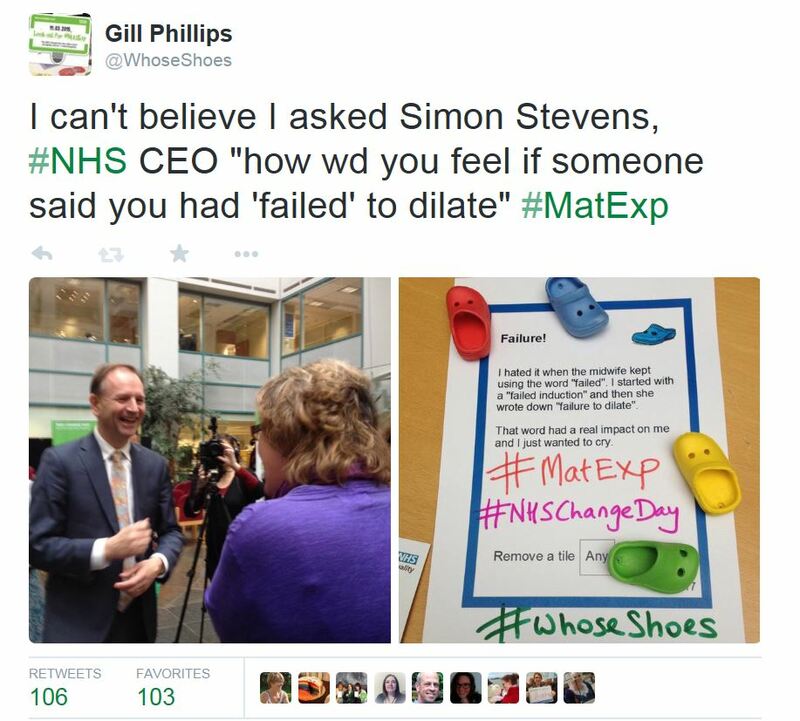 Friday played a game #WhoseShoes #MatExp Not rocket science, service users +professionals talking 2 make mat care better. I was impressed by the effort that went into developing the toolkit to try to capture leadership and facilitation tips to help this and subsequent workshops. We all chipped in but sometimes I am too ‘close’ to it; a combination of Flo’s clear vision and the LSCN team’s attention to detail meant that the final result was really impressive. 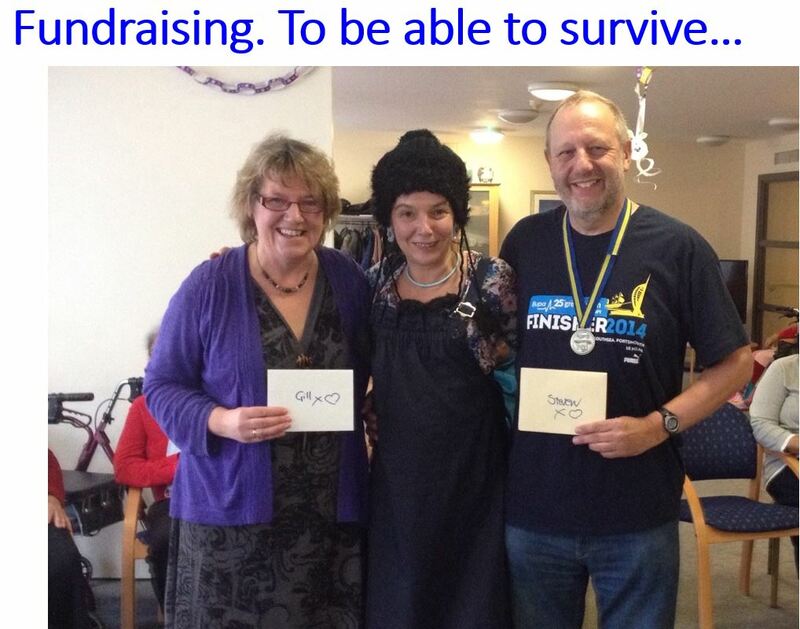 I really enjoyed working with Helen Knower, Head of Midwifery, supported by Flo via Twitter and phone calls. It is lovely to see how different individuals put their own stamp on a session – and it was great! A personal highlight for me happened before the Lewisham session even started. We had a very quick run through of the game for the people who were going to serve as facilitators on the day. Just as with the original ‘presentation’ at NHS England, it was easier to get them dipping into the game and exploring a couple of scenarios rather than just talking in theory. Lynda Machakaire, consultant midwife, announced at the end that I had changed her practice already. A card about language had made her think about certain aspects of how she spoke to women – a real light bulb moment and a lot of honesty. Tweeting as the @BestMidwifeEver, this was someone who was totally person-centred but recognised that there is always space to learn and improve. Florence has said the same: that learning from the discussions has influenced her day-to-day practice. Wow! And the workshop is judged to be a success. It was wonderful to see Florence’s willingness to move outside her comfort zone and as ever our skills and personalities were mutually supportive. I loved the honesty with which Flo said she had never done things before, had a little panic and then got on and did them brilliantly! She is far more organised than me and would start planning something in really good time, whereas I am more last minute. This was just as well as the project started shooting off in all directions, with webinars, films and presentations to prepare, alongside the stuff we had already planned! I was thrilled when we started planning a ‘train the facilitator’ event in the middle of the pilots. 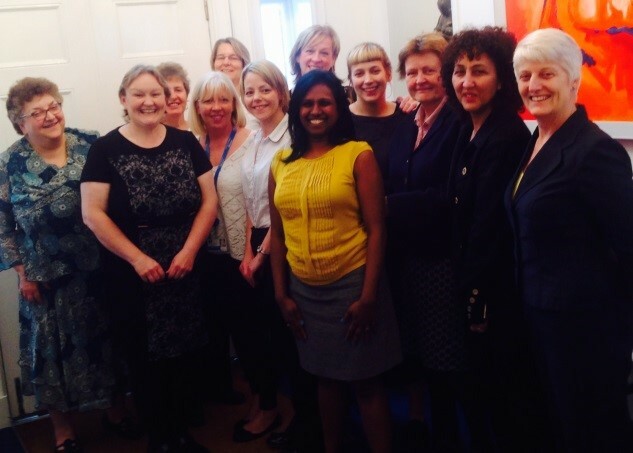 All the Heads of Midwifery (HOMs – I was learning a new language!) from across London were invited; this felt like a real vote of confidence in the workshops and their continuation beyond the initial pilots. 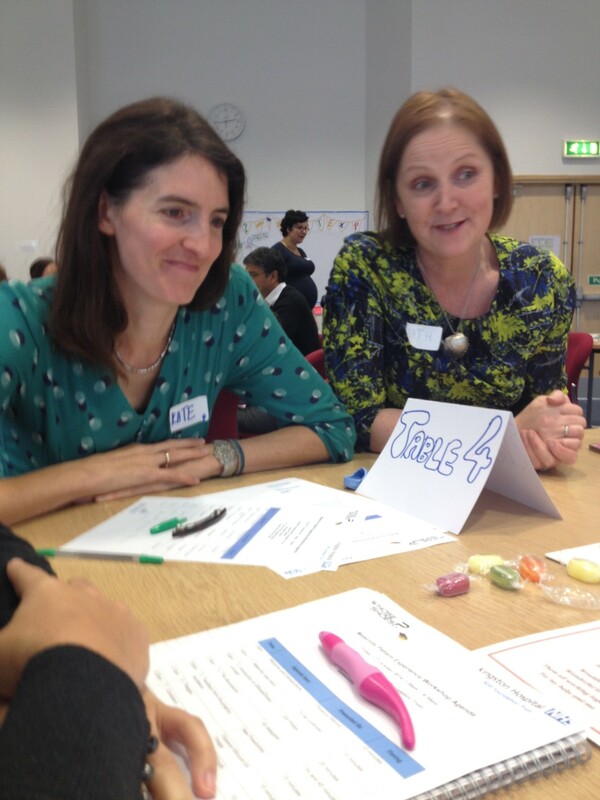 @FWmaternitykhft @WhoseShoes @KathEvans2 @NHSIQ @DunsdonSarah I loved learning about train the trainer. So much potential! And then, just before Christmas, our third workshop took place, this time run by Flo’s fellow obstetrician Louise Page at West Middlesex. I find it huge fun and very exciting to follow a Whose Shoes? event live on Twitter; I love seeing the photos and feeling the buzz. In keeping with the ‘devolved leadership’ strategy, neither Flo nor I got involved in running this event. We were like a pair of over-anxious mums at the school gates, watching with pride as our baby took its next tentative steps to independence. It was just before Christmas so it was a bit like rocking up for the school nativity play and having to watch it on the screen outside in the playground! Kath Evans was brilliant and attended all the pilot workshops, participating rather than leading and so was able to observe and report on the success of each one. The LSCN team – Sarah, Daryl and Michaela – gave excellent project support and Anna Geyer similarly provided continuity and a growing collection of wonderful graphics recording the highlights and actions from each event. I was fascinated to see how the ‘putting people in boxes’ sometimes self perpetuated. People were surprised to find out that it was an obstetrician rather than a midwife leading this rather ‘fluffy’ (a.k.a human) project. This went against the established stereotype: midwives are apparently seen as ‘fluffy’ people whereas obstetricians are branded as hard-nosed and lacking in people skills. Similarly, someone was disappointed there were ‘no users’ on the core team… just before Michaela, a team member from LSCN, gave birth to our first #MatExp baby – but of course, working for the NHS, she was classed as a professional rather than a mum! 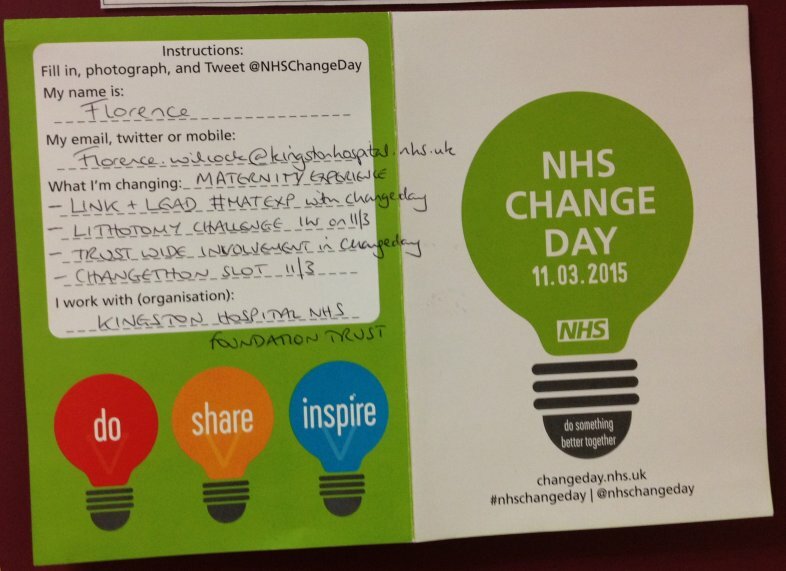 Florence told me one night she had quickly filled in a form and applied for #MatExp to be a campaign partner for NHSChangeday. 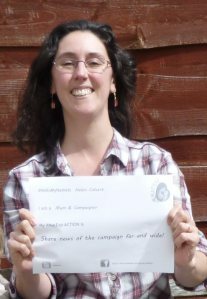 @NHSChangeday @KathEvans2 @WhoseShoes @DunsdonSarah just filled in the campaign partnership form #MatExp optimist! I was delighted. There was total trust between us with one or other of us flying off and doing things and hopefully between us covering the key bases. ‘JFDI’ and ‘divide and conquer’ became our watchwords. We wondered what the New Year would bring but we were pretty sure it would not be dull! Things went up a gear as we entered the New Year. Due to the success of the early London pilots, there was talk about rolling out ‘Whose Shoes? -maternity’ across London and indeed nationally. While this was very exciting, it was also a bit worrying. Whose Shoes? is values-driven – it needs to engage hearts and minds. I do not want it ever to be dumped on someone’s desk from on high saying “This tool seems to work. You need to do it!” That kills anything, as I know from my own experience when, in a previous life, I was asked to “report on outcomes”, when nobody had a clue what this really meant but it was all very fashionable! Flo was wildly excited when we got the ‘green light’ from the NHS Change Day team saying that #MatExp had been chosen as a campaign partner. We both were. I realised just how much it all meant to Flo and what I loved was that it has always been about spreading the word and improving things for women rather than any personal aggrandissement. Flo was building such a national profile but as a by-product rather than ever being a driver. We were in constant touch, trying to keep the various plates spinning, and so it has been ever since. We discovered tips that are never mentioned in project management / leadership manuals – not least that if you have an owl (me) developing ideas late at night and a lark (Flo) adding some more and pinging them back at day-break, you get a hell of a lot done! The NHS seem very keen on early-morning teleconferences. As you will have gathered, I am not an early morning person. We were planning the train that the facilitator session and finalising a toolkit capturing the formula in terms of how to lead a workshop – the practical elements and the more nebulous elements, such as how to create the right atmosphere. I forgot about one completely but had been tweeting right through it (my early-morning activity of choice) so was ‘caught red handed!’. Kath Evans, who is probably the kindest and most positive person I know, found some lovely words to direct message me but was effectively saying “Gill are you going to do in this teleconference or what?” Whoops! I was under pressure to come up with a business model. again it was a case of trying to ensure that there is real ownership in individual hospitals, and also a way to build for the future, adding on new subject areas as maternity is just one example of how the tool can be used. Serendipity is a huge part of my journey and some key people, including Kate Greenstock (@wildrubiescoach) came along at just the right time to help me think through my ideas. It has been wonderful to discover people like Kate who I hope will be able to spread the message and facilitate events on my behalf, as we have done in other areas, particularly #dementiachallengers. The network was growing: different people using their different skills and passions. There was fantastic attention to detail by the SCN team and, jumping forward, this continues to be a strength as we head for NHS Expo where it probably feels to them like herding cats with a gang of mavericks coming up with more and more ideas and going off in different directions! Flo and I attended an NHS Change Day planning day together and were probably slightly tricky for the team there as we had so much going on and it was such a rare opportunity to meet together in person. 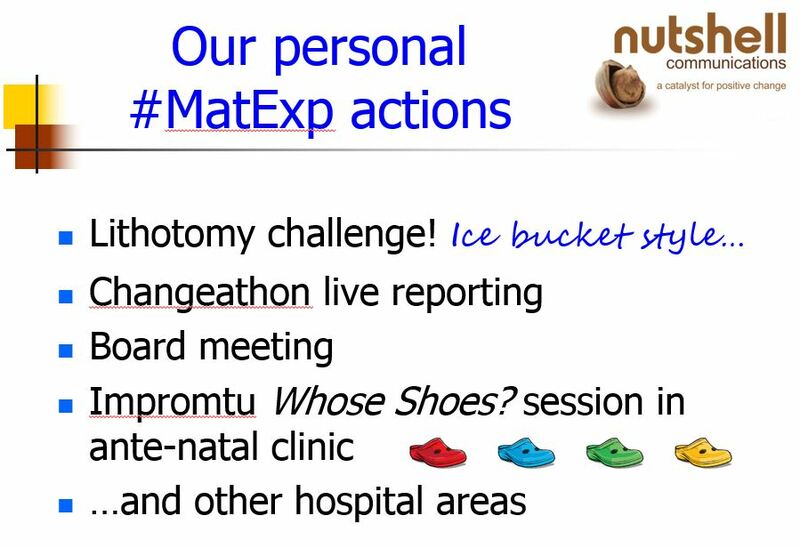 We also knew very clearly what we wanted and gave their website designers a few headaches with our long list of actions and different leaders (a fab mix of mum-leaders and professional leaders) for different bits of the #MatExp campaign! People were coming forward to lead different aspects of the campaign. Wonderful people like Jenny Clarke (Skin to Skin); Amanda Burleigh and Hannah Tizzard (Opimal Cord Clamping); Leigh Kendall (Language – teaching us all SO much via fantastic #HugosLegacy and #saytheirname); Emma Sasaru and Helen Calvert (breastfeeding); Ruth-Allen and Carolyn John (informed choice); Rosey and Dani (postnatal support). Too many to mention but you know who you are! I have always loved the Cleveland Clinic empathy film so it was really exciting when the London SCN commissioned a similar film from Silverfish. It was fun choosing the scenarios to appear in the film, all sourced from our Whose Shoes? workshops. Again, Florence and I felt as if we were being picky, coming back with loads of suggestions and edits. These things are really difficult in terms of appealing to everyone, but I think we are all delighted with the final result and positive feedback the film has received, with over 3000 views already. It is a great resource and is being shown at maternity conferences everywhere; I felt very emotional when I saw it for the first time on a big screen at our workshop in Guernsey. Work was of course continuing in other areas and sometimes it is hard to juggle the different subject areas, especially as I invest so much time in supporting people on social media. I love it when things do not fit into boxes and building links across my various networks is very rewarding. We have had a few gatherings in London where the main thing people have in common is that they are part of ‘my gang’ and I love seeing them build their own friendships and alliances. Immediately after the NHS Change Day meeting with Florence, I went on to meet the fab dementia care team at Basildon & Thurrock Hospital. 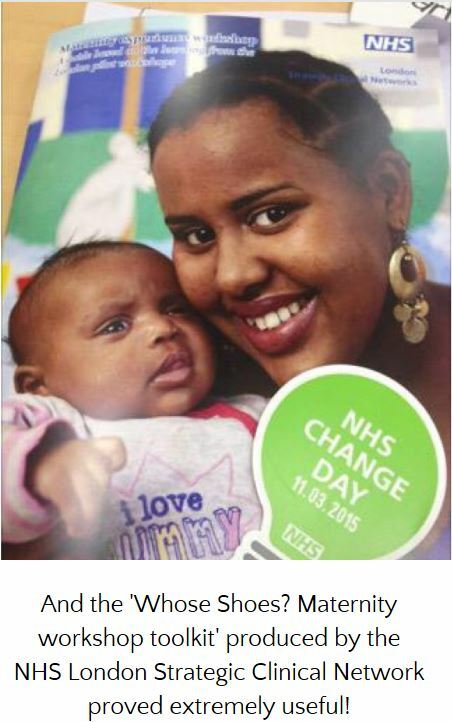 I was very happy to distribute NHS change day light bulbs, and spread the word of the ‘Dementia Do’ campaign which builds on our NHS change day campaign from 2014. Another new experience for me was to be a judge in the Penna awards. It is heartening to see the fantastic work that has been done across the country to improve patient experience. The first week in February was indeed mad. I managed to stay for most of the week with Theresa, my best friend from school days. She has known me since I was 11, so perhaps it is just as well she is not on social media as she might have a few beans to spill! This meant that not only did we have the ‘Train the Facilitator’ and the Queens hospital workshop in one week, but I managed to fill every moment in between with meetings, either of a ‘business’ or social nature – or in practice there is often very little to divide the two. This week was very special. I met for the first time three of the leading lights from our campaign. Flo and I got the chance to spend time with the inimitable ‘Jenny the Midwife’ @JennytheM, famed for her wonderful campaign to make ‘Skin to Skin’ a reality for every mother at every birth. You had to be there to appreciate the ‘tale of the heated loo seats’. I had dreamed of meeting the woman who once climbed a step ladder and daubed ‘Skin to Skin’ in large letters on the operating theatre wall, because no one was listening. See what I mean about special people? Jenny had come down from Blackpool for our ‘Train the Facilitator’ event and similarly Helen Calvert @heartmummy, had come from Manchester. Leigh Kendall and Dr Carolyn John joined us for the event at Queens hospital and I felt very honoured that our amazing team were making such an effort to come and see what was happening in person. The Queens Romford workshop was part of our ‘devolved leadership’ approach, so strictly speaking neither Flo nor I were meant to be there. But we both found an excuse to come anyway, and got the chance to see Wendy Matthews lead a brilliant event. It was jam packed – apparently 69 people turned up for the 40 places. Because I did not have an official role, it was an opportunity to run round with my small video camera, capturing some of the highlights of the day, as did a couple of members of their very responsive Comms team. Poor Mr #WhoseShoes was subsequently trying to help when he edited the film and cut out all the background noise; but then we had to put it back in… after all babies are really what these events are all about! Flo and I shot our video for NHS Change Day in the noisy corridor at the end of a long afternoon: not the best quality, time or place but we just had to… JFDI! People often say ‘let’s meet up when you’re next in London’. It was fun hopping between meetings to progress specific projects such as #KHFTWhoseShoes and #CYPMeFirst and more general ‘tweet-up’ type meetings such as finally spending some time with Richard Humphries from the Kings Fund and meeting up with a PhD researcher from UCL, whom I first met at the ADI World Alzheimer’s conference in Puerto Rico! If you want a break from reading this ‘War and Peace’ blog, I hope you enjoy this beautiful and indeed haunting music by the local university students – a truly memorable introduction to a conference! The next day I went down to Skipton House in London and got the chance of my ’15 minutes of fame’ when I was suddenly invited to speak on camera to NHS CEO, Simon Stevens. With some very helpful last minute advice “Less is more” from my friend Alison Cameron burning in my ear, I stepped forward. There is huge potential to explore the use of Whose Shoes? in more specialist areas and I’m hoping that this might be one of the outcomes of the national maternity review. For example, I had the huge privilege of taking part in a focus group of young mothers with learning disabilities. I was shocked by some of the things that I heard – but I guess if we are finding so many gaps in communication generally, it is hardly surprising to hear of more vulnerable people being left bewildered and unsupported – and worse. 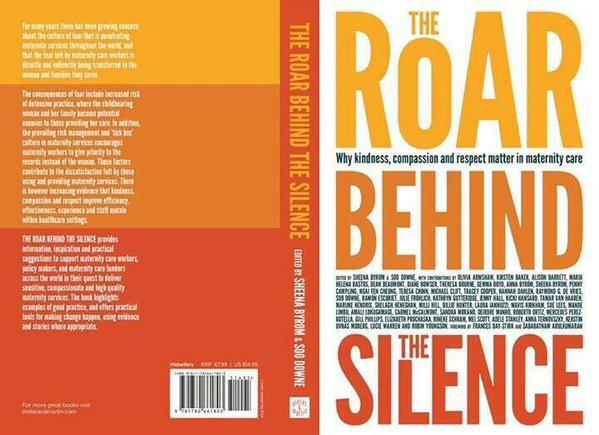 And talking of publishing things, ‘our’ book was published – Roar…compassion It had been a huge surprise when Sheena Byrom originally invited me to write in chapter, one of the original contributors, long before I had done any work around maternity services. The publications have been delayed as more and more people were discovered and added and now it felt extremely timely! I was delighted to be included alongside about 40 international examples of good practice. It has sold 3000 copies and is now being re-printed. 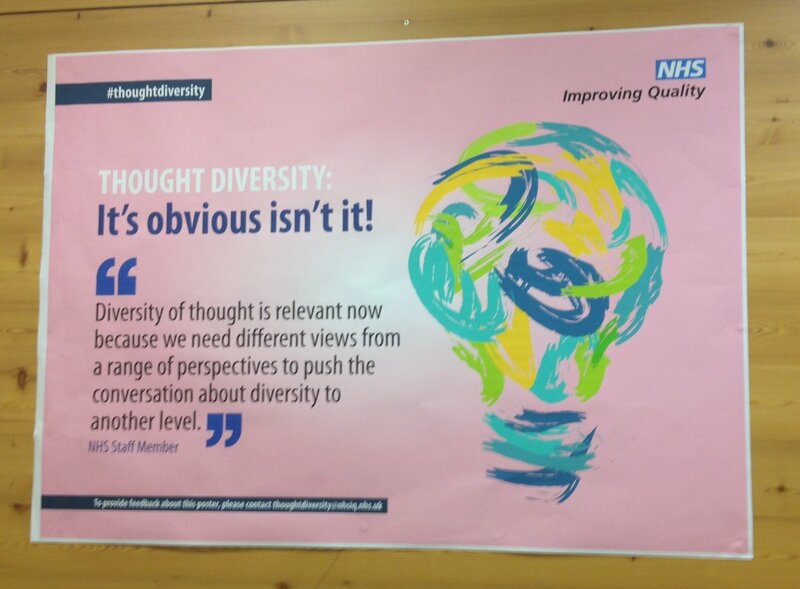 I had been looking forward hugely to NHS Change Day. I had promised ages ago, that whatever happened, I would come and support Florence with activities at Kingston Hospital. 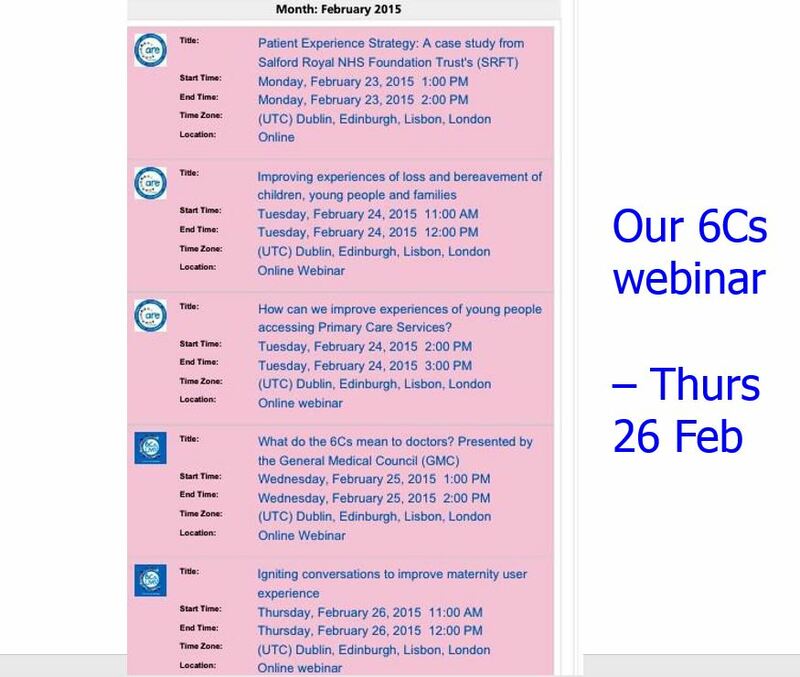 I knew we would do something around #MatExp but wasn’t sure what. As it happened, Kingston hospital were doing loads of good stuff, so much so that we were delighted to hear that Helen Bevan, the Edge and the NHS change day film crew had chosen ‘us’ to visit! I thought they would perhaps pop into our drop-in session in the antenatal clinic in the afternoon. I hadn’t expected them to arrive en masse for our whose shoes taster session for the whole of the Executive team! They caught the end of the discussions, using some bespoke Whose Shoes? scenarios to explore a real complaint. I was thrilled as Helen had always said she wanted to see the game in action, but we had only managed ‘near misses’. This time she at least saw the ‘aftermath’ as the team discussed what they had experienced – an opportunity which led directly to the exciting project we are doing at the moment, using Whose Shoes? 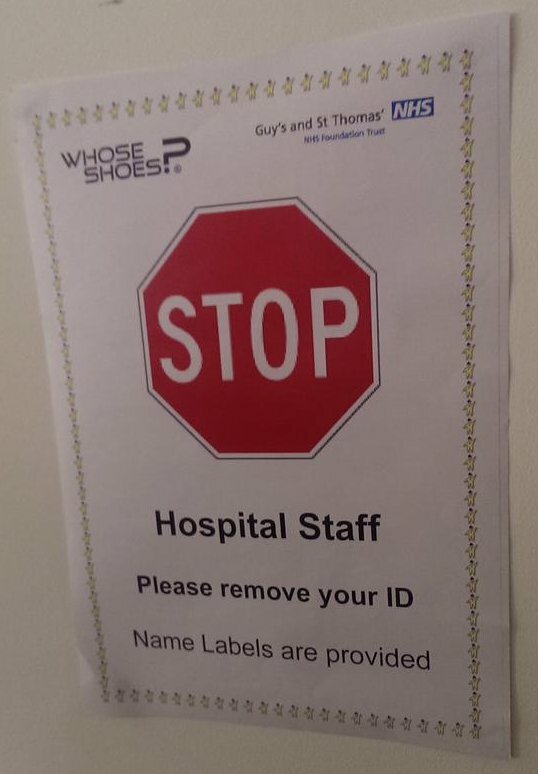 to explore areas of patient and staff experience across the hospital: #KHFTWhoseShoes. Helen Bevan did a little interview with me in the antenatal clinic – the only clip that has been published is five seconds (at seven minutes 30) on this excellent video, about the whole day, and of course starring Florence doing her lithotomy challenge. What a great idea! We have since had a steady stream of tweets sending photos of health care professionals, and particularly male obstetricians, experiencing the lithotomy position and suggesting ways in which issues can be avoided or at least improved. It was brilliant that Flo was not only willing to do the lithotomy challenge, but to be filmed and then to share the learning via a blog. Yes, that’s right, another blog. 😉 We published it on Mothers’ Day and I was able to include a photo of the lovely #MatExp necklace Florence had sent me. She had bought us matching ones and we have enjoyed wearing them to events ever since, especially when we do something together! I have found a great conversation starter at non-maternity events, and I wore in Scotland when I went up there for a week, giving talks at the fabulous ‘We chose to climb’ international conference and then workshop with NHS Education for Scotland and Alzheimer Scotland. Florence and I were bouncing off each other more and more. It was brilliant that Flo had an excellent meeting with David Richmond, president of the RCOG. When we started writing these blogs, I asked her to remind me how this came about. Apparently I had emailed and got a lovely reply from Lesley Page, president of the RCM, so Flo had a rush of blood to the head (her words) and emailed ‘her’ president. 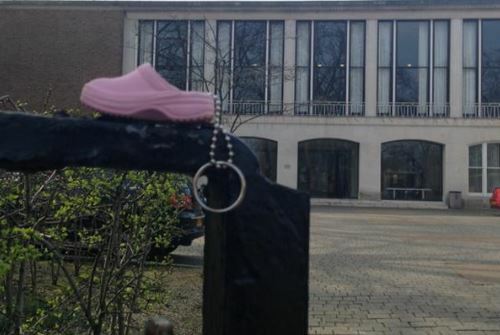 I laughed when she tweeted a picture of one of my little clock keyrings on the wall outside the prestigious premises! Meanwhile the Great Ormond Street #CYPExp masterclasses, using Whose Shoes?, had started and were coming thick and fast. I went to the final pilot workshop and it was lovely to see Kath Evans there, just as supportive and enthusiastic as ever. 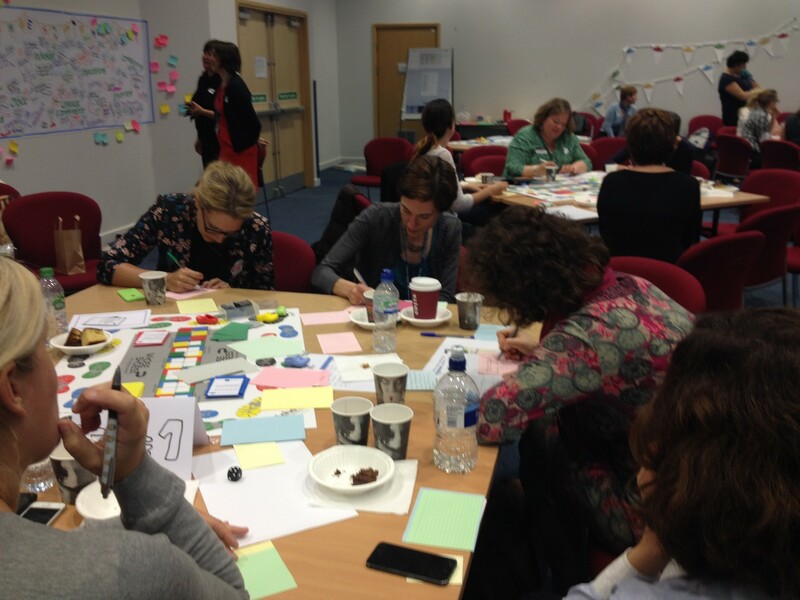 It seemed slightly strange having one final pilot maternity workshop at the Whittington, as by this stage the project had been deemed a success and we had already held the ‘train the facilitators’ event. Flo and I behaved ourselves this time and waited patiently outside the school gates, but checked in constantly on Twitter. Once again there was very positive feedback and lots of actions – and I particularly loved seeing the black cat on Anna Geyer’s wonderful graphic. It was great to see stronger and stronger links forming with the NCT, MSLCs and other groups around the country as people gained confidence in working collaboratively and as we all realised that we are stronger together; #WhoseShoes by definition includes everyone. I know how impressed Flo was by the presentation Helen Gray gave at the mini Whose Shoes? at the South West London Maternity study day and we were starting to get tweets mentioning #MatExp at conferences at home and abroad! With the pilots over, we entered April without any particular plan but her created the conditions for a bit of magic to happen, as organic development is what it is all about! Florence asked me what I thought about a #MatExp alphabet. It was brilliantly simple – just the sort of thing that I love and neither of us could believe the energy it generated. People were waking early to post their daily tweets. Mr #WhoseShoes sometimes struggles with my social media presence and thought we had all lost the plot at that stage I think. I had a really random day myself when I met up with some fab people from the Netherlands at the big Quality and Safety forum at Excel in London. As I was not actually a conference delegate, and the conference costs a fortune to attend, we met in the main entrance. We ‘kind of’ after permission to demonstrate the board game on the counter of the cloakroom. The four of us were gathered on one side as apparently it was overstepping the much to stand on the cloakroom side! I am hoping to get involved in the first Change Day, Netherlands and link them up to the work that we are doing at Kingston Hospital – we’ll see. 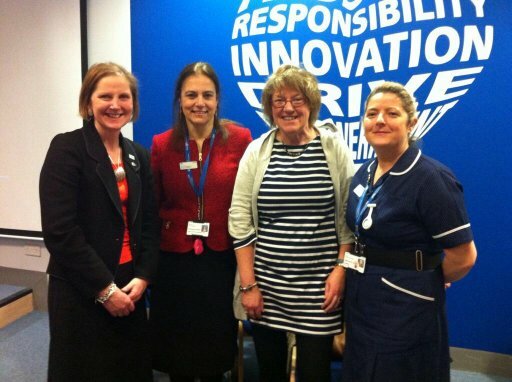 Meeting @WhoseShoes at #quality2015 @QualityForum @FWmaternitykhft @helenbevan @ChangeDayNL https://t.co/Ms4LdirEav pic.twitter.com/REoQSeP68l"
I had to rush off to Kingston Hospital to meet Florence, Sarah Dunsdon and Rupa Chilvers from Better Births. On our ‘divide and conquer’ principle, I had initially said to Flo to go ahead without me, but got the opportunity by combining this with calling into Excel and thus justifying yet another trip to London. 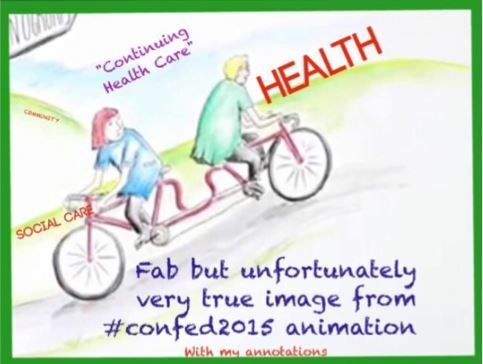 It was just as well I did as this turned into a fantastic opportunity to make a film about the whole #MatExp project. We had done no planning at all so simply rattled away to the camera, remembering key things as we went along, but not necessarily in the right order! Rupa was skilled enough to add some photos and other bits to bring the video alive and it is proving a useful resource. As I say, I love it when different aspects of my work blend together. My raison d’être is around breaking down barriers, silos and generally de-labelling things, so finding ways to straddle my maternity and dementia work feels exciting. Very often this happens through serendipity. 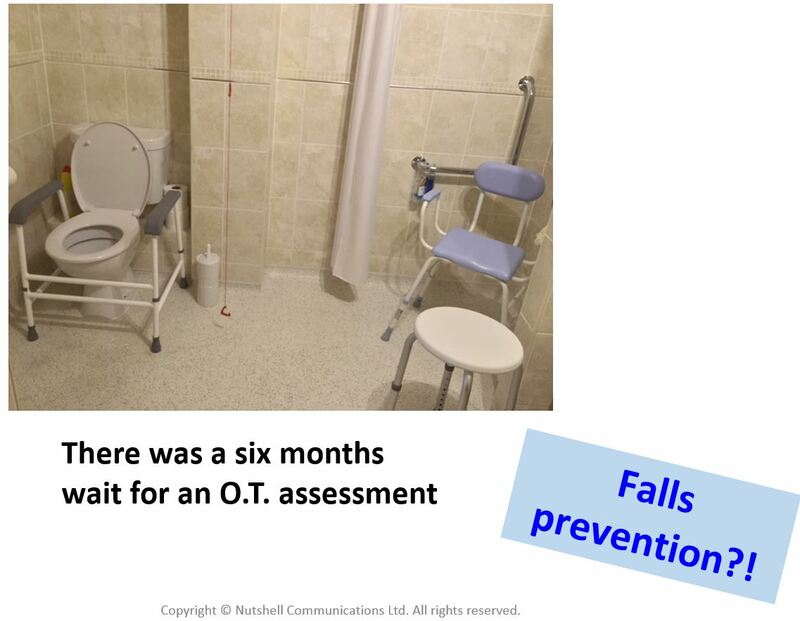 For example, Mel Pickup and I were both speakers at the Dementia Quality of Care event in Manchester; this led to me picking up (excuse the pun!) on the excellent work Mel and her colleagues were doing in Warrington, me inviting Mel to write an ‘in my shoes’ blog (featuring twiddle muffs! ), and then finding out that Mel was a member of the new maternity review team! This gave an opportunity for Mel to learn more about what we had been doing around #MatExp and become interested: we are planning a workshop later in the year. Meanwhile Flo and I were very excited to get the green light to use the Whose Shoes? 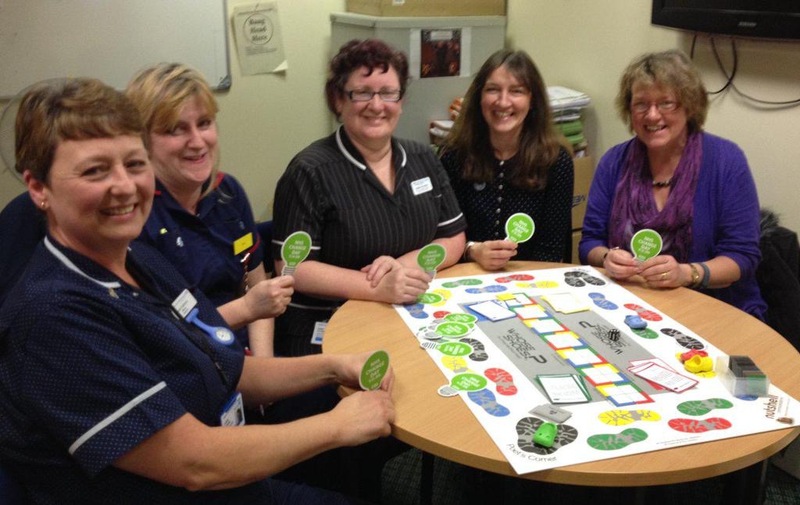 approach to explore patient and staff experience in other areas of Kingston Hospital. I now spend quite a lot of time at the hospital and also interview people over the phone and use a wide range of other source material to co-produce challenging scenarios. I really enjoy new development work and Florence and her fab P.A. ‘Virtual Kate’ have done an excellent job producing a monthly newsletter Whose News? to raise awareness. 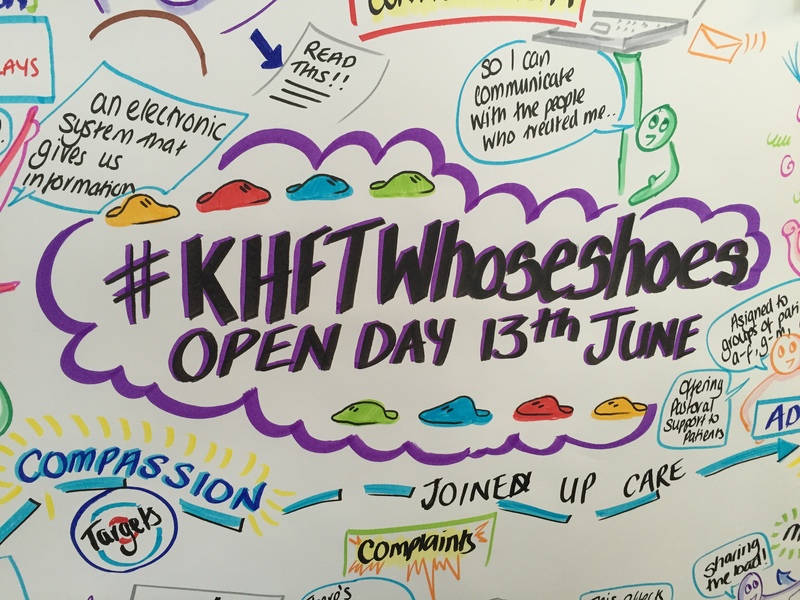 #KHFTWhoseShoes is our new hashtag and another fascinating journey is underway! 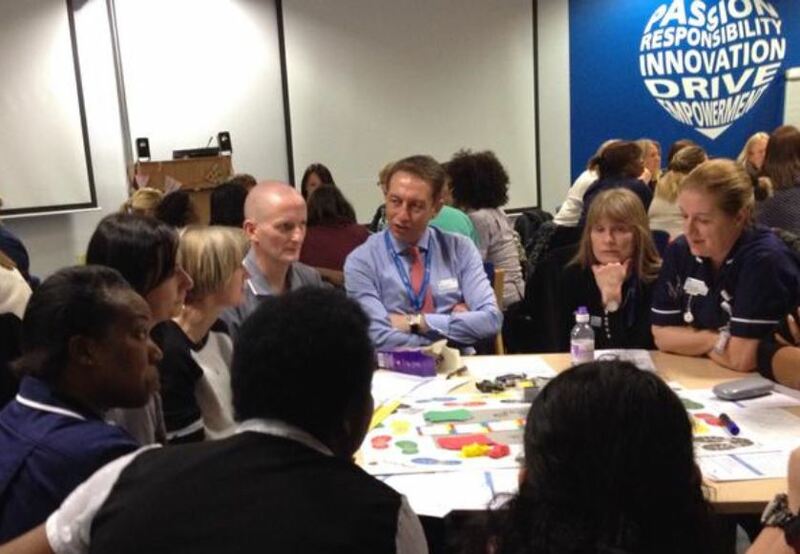 It is also rewarding to be able to bring new ideas into the hospital – for example I was privileged to be invited to the two day HSJ Innovation Summit in Marlow – the networking and learning were amazing. This had the spin off benefit that I was able to meet up with Marcia, my old line manager in an earlier life when I was employed, who became a dear friend. It was Marcia who encouraged me back to work after long-term, serious sickness when I had lost a lot of confidence and things were difficult. It is so important to take the opportunity to tell people what a difference they have made to our lives. We were all enjoying the #Matexp alphabet and it was brilliant when my friend Ken Howard spontaneously designed a logo for us. It has proved hugely popular and is now being displayed on our website – look out for our jaunty T-shirts at NHS Expo! Ken, who was diagnosed with Alzheimer’s nearly 10 years ago, has met a number of my #MatExp friends, including Leigh Kendall, when they were both included in the top 50 HSJ Patient Leaders – but that is jumping ahead because it didn’t happen until July. As you may know, I am not one for very tight structure, so we needn’t stress about it. 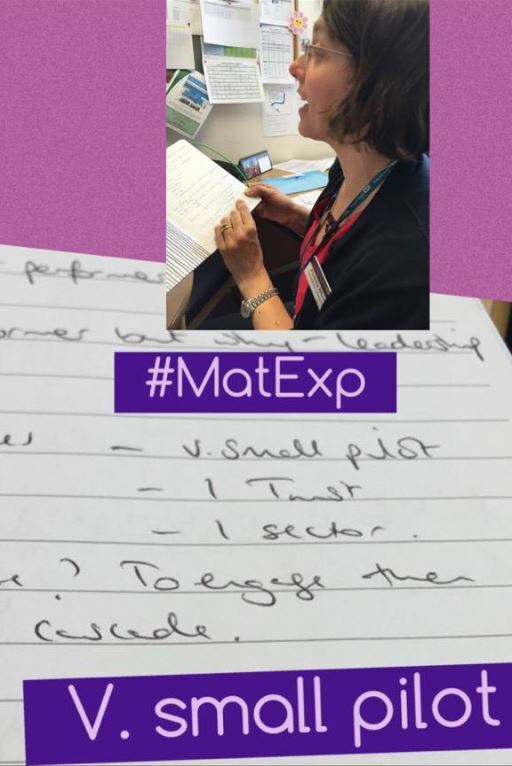 More importantly we were suddenly embarking upon a month of action, with people tweeting selfies of what they were pledging to do, Leigh designing our own #MatExp website and Helen Calvert, Susanne Remic and Emma Sasaru setting up a #MatExp Facebook group! Everyone was pulling together and making things happen! It was ironic that Flo had chosen #FlamingJune as the theme for our month of action. 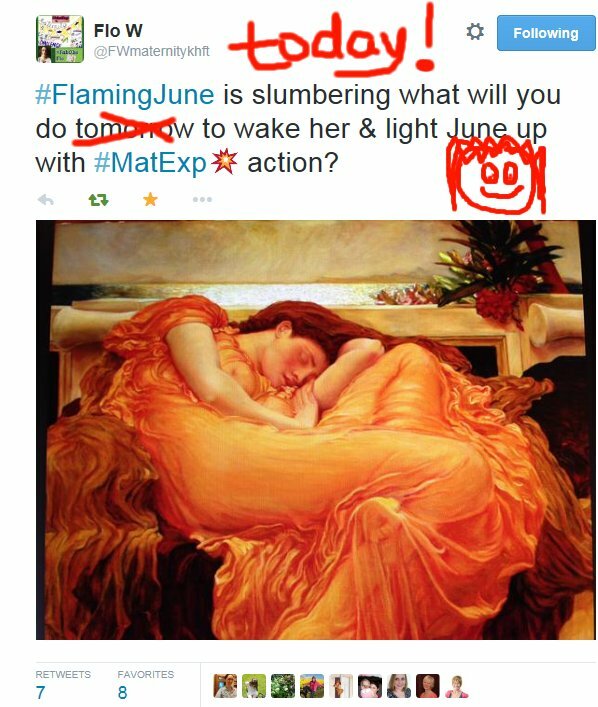 Weather wise, June was anything but flaming – but the #MatExp community was on fire. We launched the JFDI website matexp.org.uk that Leigh Kendall put together in no time at all and soon it was being crowd sourced with links and blogs. It was lovely to see the colourful selfies being posted and the wide range of actions that people were taking. The Facebook group got 700 members in the first couple of weeks I think, and has hosted really in-depth discussions. This takes a lot of time welcoming new members, posting and encouraging discussions, being diplomatic and encouraging – and lots of other things I do not understand so well about Facebook 😉 Huge thanks to Emma, Susanne and Helen for building this in such an energetic and whole-hearted way. We need to find a way of feeding in the learning from these experience-based exchanges into the National Maternity Review. I was really sorry to miss the big event in London on 10 June, with somebody speaking from each of the five London pilots and describing what had been achieved so far. It sounded like a lovely mix of collaboration and healthy competition as each person reported on all the actions that had taken place and plans to build further. 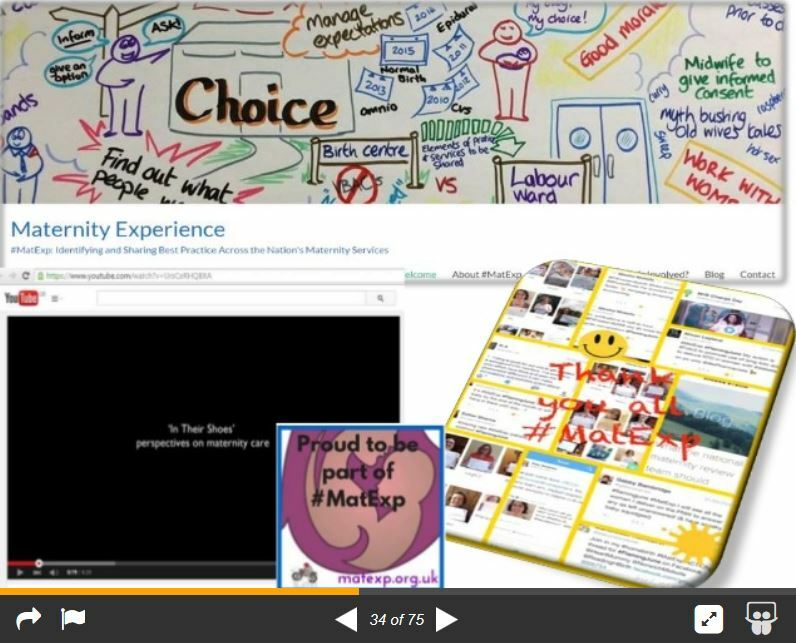 The #MatExp empathy film was finally launched. Meanwhile, I had a busy month too. 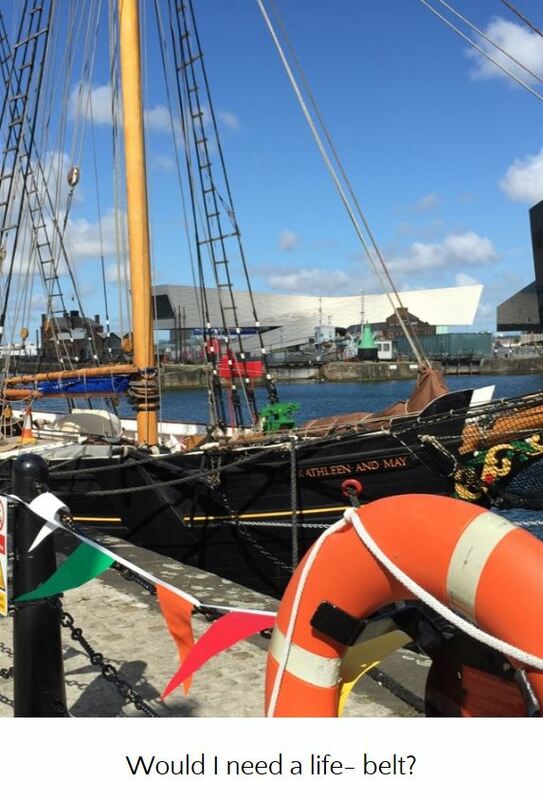 I was very honoured to be asked to give a talk at the NHS Confederation in Liverpool. As you will see from my Steller story, I really love the place. I now have an interesting conversation building with maternity providers in the Merseyside area, so perhaps I will get the opportunity to go back soon. NHS Expo 2014 give me a really good opportunity to be able to think on my feet and run a workshop pretty much anywhere – I will never forget the fun we had trying to run a workshop in the Dementia Cafe in the middle of Expo, with wild activity going on all around, including NHS Change Day people marching up and down with banners. And so, when Flo was in a bit of a flap about changing plans around our #KHFTWhoseShoes workshop at Kingston Open Day, I was able to calm her. I quite liked the idea of a drop-in session session opposite the do-it-yourself keyhole surgery stand! I was als enjoying making Steller stories so made another one. It was a lovely informal way of meeting a lot of people from across the hospital and we were made very welcome, not least by Kate Grimes the CEO who is incredibly supportive of the work we are doing. I’m not quite sure how Flo and I managed to sneak off for long enough to make this video with Yvonne Newbold and her lovely Dad Maurice Trimmer, talking about our session. At the end of the month, I flew out to Guernsey and really enjoyed mixing work and play (there are no real boundaries for me!) 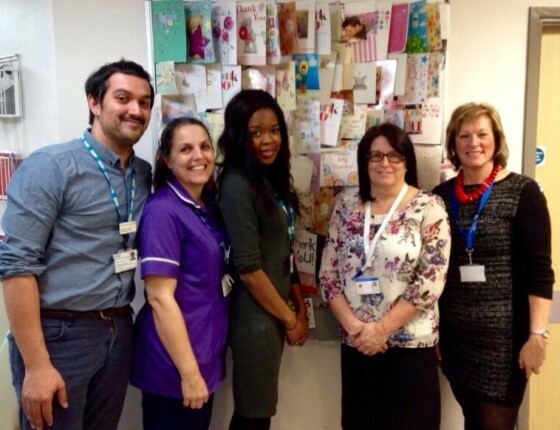 meeting the fab maternity team and running our first maternity workshop outside London. Another Steller story! The word was spreading. We were starting to receive enquiries to run workshops at other Trusts up and down the country. I had planned my trip to Guernsey in time to get back for the wonderful ‘Caring for the carers’ event organised by Jane Pollock @midwife_jane at George Eliot hospital. I couldn’t believe that it was my first ever maternity conference and was excited to be meeting many #MatExp stars, but particularly (at last!) Sheena Byrom. There were excellent presentations including one by Jacque Gerard where I learnt about the ‘undermining toolkit’, produced jointly by the RCM and RCOG and sadly very relevant to our work in #MatExp, #KHFTWhoseShoes and beyond. It was only a small (and for me local) event, but with a lineup worthy of a major conference – a tribute to the power of Twitter to bring movers and shakers together for positive change. It felt like a #MatExp tweet up! It had been about a year since I first met Jane when I visited the maternity open day at George Eliot hospital and won a trip to Twycross Zoo for naming the kangaroo mascot! I enjoyed my subsequent visit to the zoo and I think five-year-old Charlie enjoyed it even more! I was so busy meeting the #MatExp crowd in person that I missed my SHCR ‘certificated radical’ virtual graduation – but luckily my youngest son was to have a real graduation ceremony later in the month! The next day I was ‘back at the school gates’ following the fantastic tweets coming from the workshop at Saint Thomas’s hospital in London. They were using the leadership toolkit produced by the London SCN, but putting their own little touches to it. 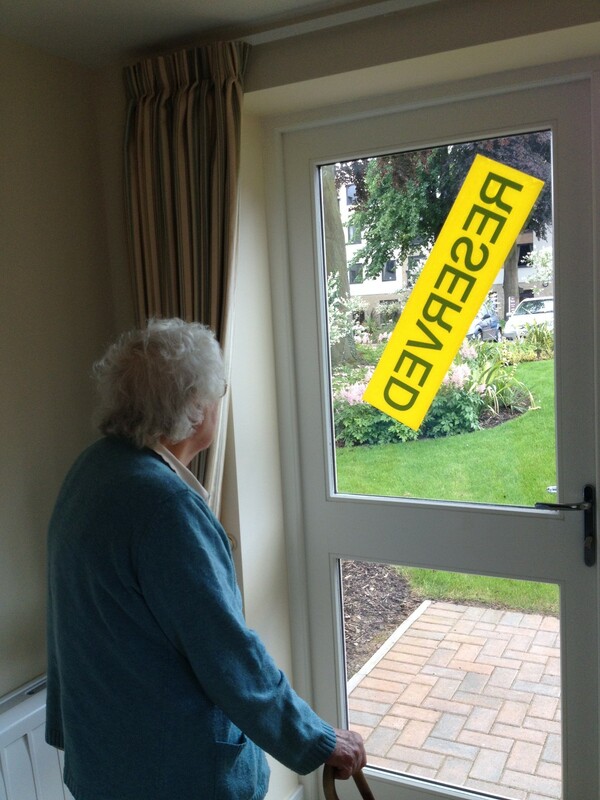 I particularly loved the sign they put outside telling people to leave their NHS badges at the door. The principle of having inclusive badges – names rather than roles – has always been a feature of Whose Shoes? but we have never had a ‘Stop’ sign before! 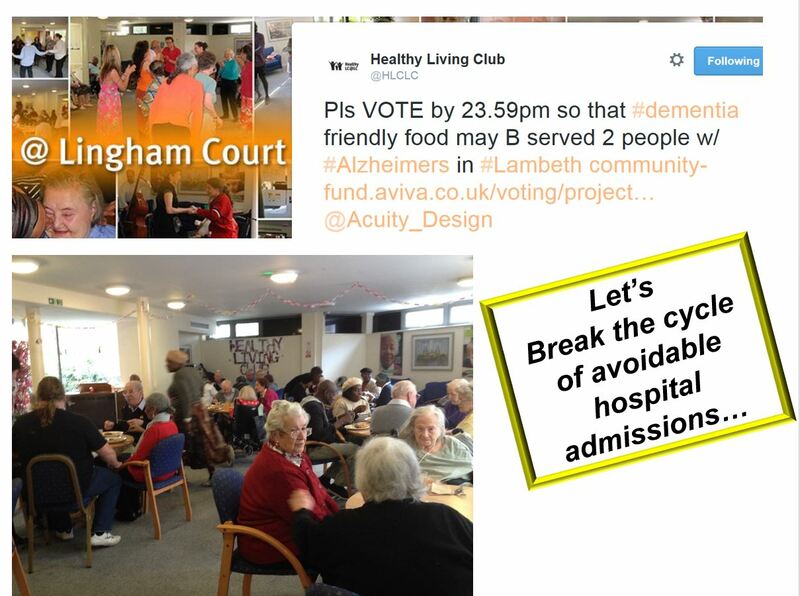 And so we were coming to the end of our first #MatExp year and, remembering the origins of this incredible project, it seemed fitting to re-visit amazing places making a real difference to people living with dementia – and so I ran a workshop with Simona Florio and the Healthy Living club in Lambeth and then with Sandra Springett, Age UK, Tunbridge Wells – work in Kent had directly led to the maternity project. Our second topic for #KHFTWhoseShoes is around life in theatres. Developing this new material has been fascinating . I got to wear scrubs for the first time, touring the Kingston operating theatres with Flo as we involve more areas of the Hospital. It has taken me a month longer than Flo to write this blog and August has continued to be busy. Luckily one of the first ‘listening events’ was in Birmingham so I got the chance to show the Maternity Review Team the tool in action and Baroness Cumberlege even joined us! I met lovely Emma for the first time and one or two other #MatExp stars. We were very honoured indeed to be featured in Baroness Cumberlege’s blog. 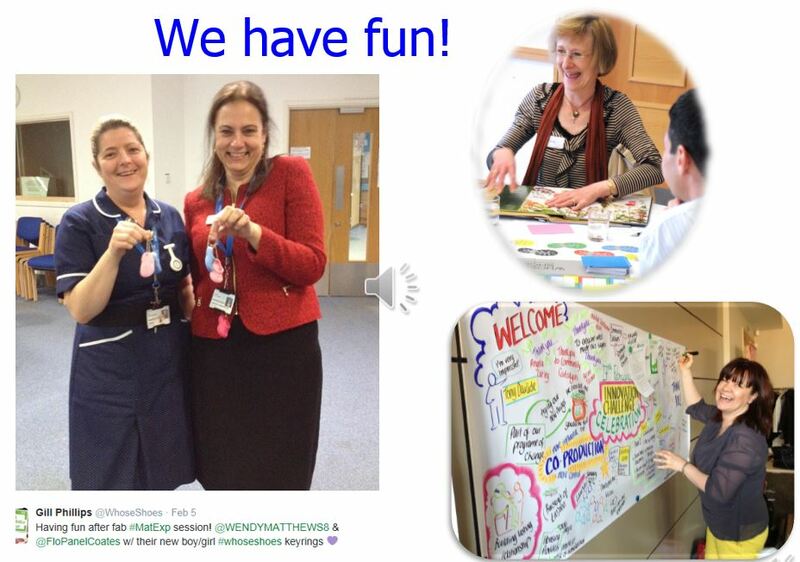 But the big #MatExp tweet up comes on Wednesday as ‘#MatExp goes to Expo!’ Flo and I will travel up together from London to Manchester, after the launch of #KHFTWhoseShoes ‘Theatres’ tomorrow! We might be a bit hyper. 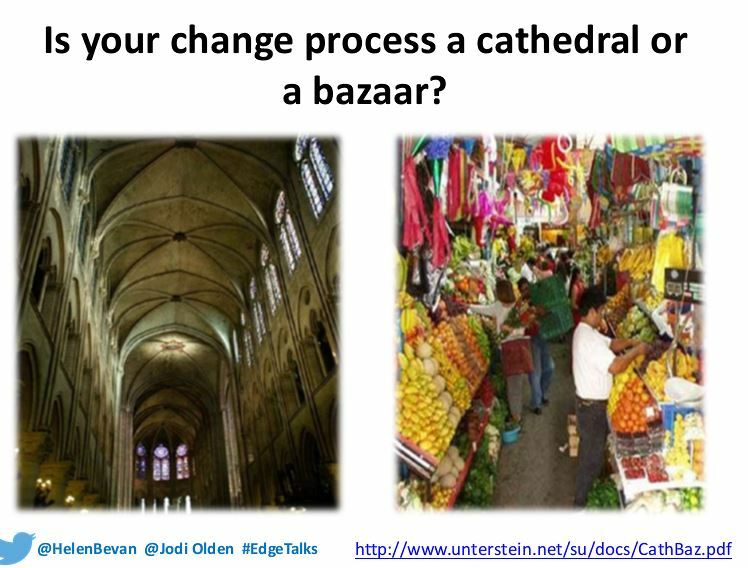 We had some very ambitious ideas for a #MatExp bazaar at Expo (symbolic of a chaotic but energetic change platform, A powerful analogy coined by Helen Bevan.). We are very honoured to be invited and have the chance to spread the word although the format is a lot more ‘conventional’ then we had hoped. It will be a bit of a bizarre bazaar with everyone sitting in rows. We are also in the early stages of planning our very own conference, with a venue already offered… and Twitter running through it like a stick of rock 😉 Watch this space! #MatExp ideas come thick and fast. A reverse ABC. 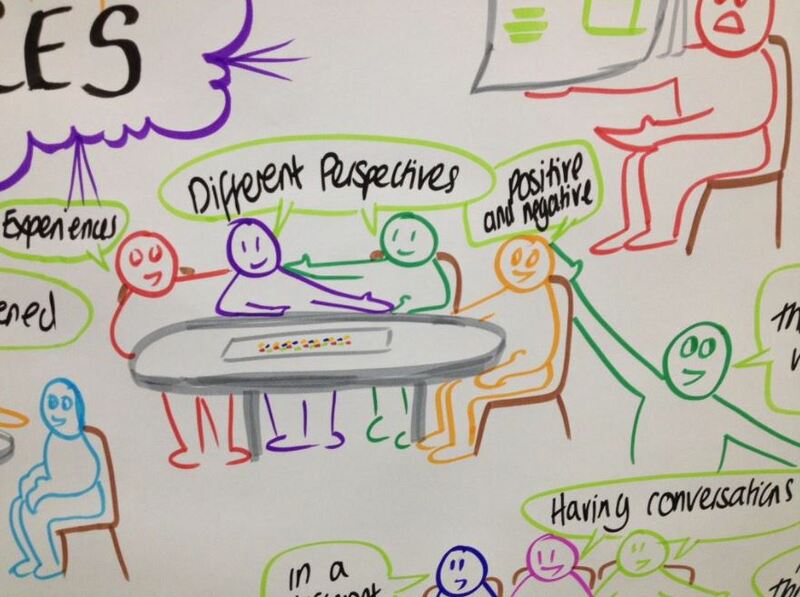 A #MatExp Colouring book. Heat values. Room 101 for out of date practice we want to get rid off. Possibly a variation on the “purpose obfuscation ‘ometer” we spotted on Twitter?? And more workshops in North Cumbria, Warringon, Chelsea & Westminster, South East London maternity Network, Kent and more. We are talking about writing a book; I think I have written half of it here! 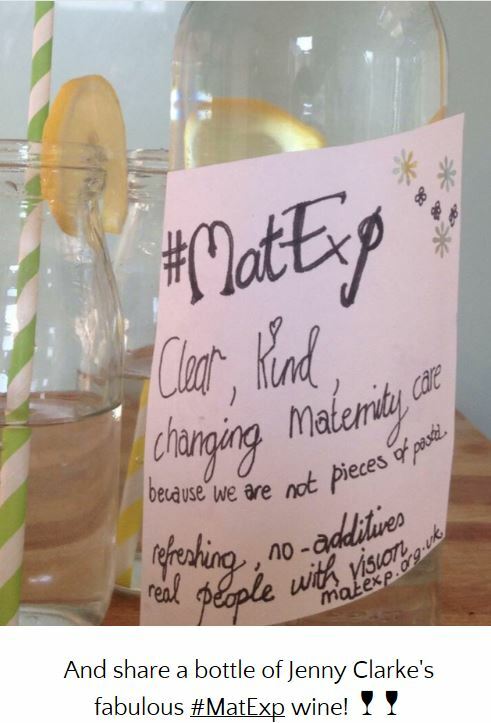 #MatExp is truly crowd-sourced and the momentum is building. Look out for the evaluation that has been commissioned by the NHS Change Day team and should be available in the next couple of months. We are so grateful to all the wonderful people who have stepped forward to make #MatExp happen, driven only by a real desire to improve maternity experience for women everywhere. Flo summed it up perfectly. We are “indebted to anyone who has participated, shaped, taken action or had a conversation however big or small. You are all the reason this has been such a successful year and with your ongoing input and action we can make a difference, make a change and make others believe that it’s possible too. THANK YOU”. Please let me know any key omissions and I will add them in. 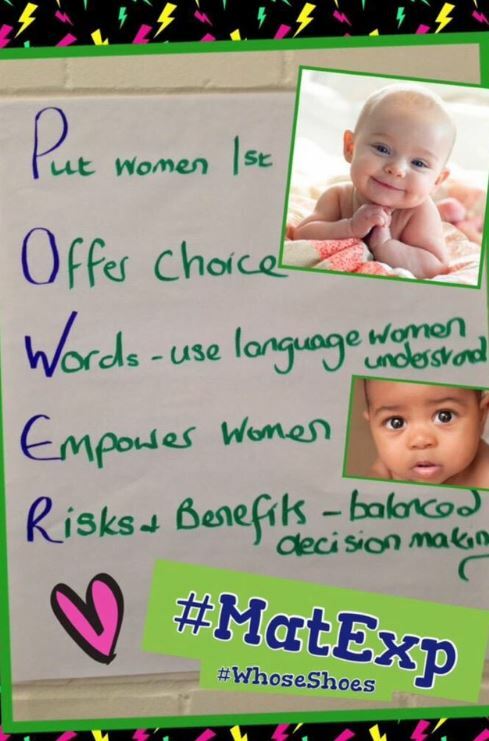 When did you become aware of #MatExp, how have you been involved and what difference has it made? Meanwhile, we hope to see lots of you at NHS Expo! 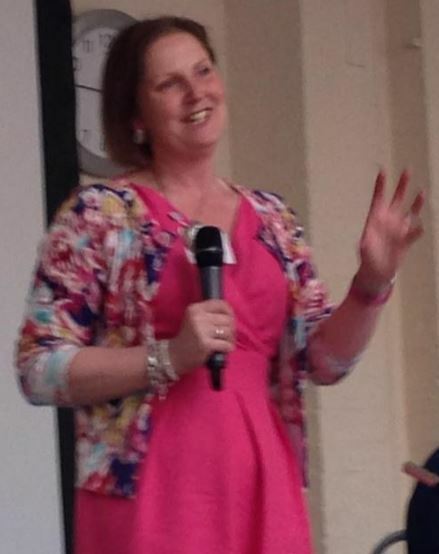 I first met Jacque Gerrard in real life, as opposed to Twitter, at the ‘Caring for the Carers’ (in this context, carers = professional staff) maternity conference at George Eliot hospital, Nuneaton. It was an amazing event. Jacque was a keynote speaker and I found her talk fascinating and compelling, particularly talking about the culture of undermining that can exist and the combined work that the RCM/RCOG have been doing to address this. Jacque’s powerful presentation chimed with the #KHFTWhoseShoes work that I am currently doing at Kingston Hospital with Florence Wilcock, building on the #MatExp work that bought us together. Jacque and I had a long and energising conversation discussing synergy between the work we are all doing. I loved Jacque’s honesty around a very difficult subject (bullying, harassment, undermining) and how hard it can be to maintain momentum for positive change. It didn’t surprise me to learn that she is a runner – her energy shone through. Its August already and where has the year gone? Perhaps all this running around England has something to do with my time flying by. 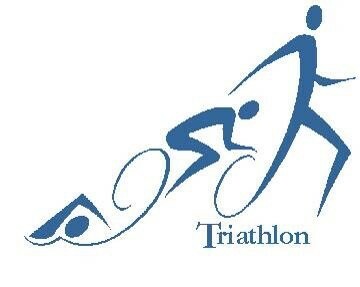 Running was a big part of my life for several years fund raising for charity and keeping fit etc. but within this role there is not much time to run. Nonetheless my trainers are usually nearby even though I may not have time for a long run. Even if it’s a gentle jog round Regents Park which is close to RCM HQ then, I will try to squeeze in a quick run. The last year has been very up and down for the midwifery profession as there has been both bad and good news regarding maternity care. Whilst acknowledging the negative issues it’s equally important to focus on the positives in an effort to improve maternity care. I am of the view that the midwifery profession are now moving forward and we are seriously taking the learning from our past mistakes with us as we race forward. I believe that for the sake of safer care and better outcomes for women and their families the profession and its leaders are determined to get maternity care absolutely right. My evidence for this belief is based on what I witness as I visit maternity units, meet the women and meet the maternity teams. I also visit universities where the future midwives are being prepared and educated in readiness for registration. I am very encouraged when I meet students as part of my contribution is to give guest lectures to the student midwives. So where have I been running to on professional visits? I visited Worcester with RCM President Lesley Page for the official opening of the Meadow Birth Centre in April. Lesley opened the Birth Centre but the maternity team also had an additional royal visitor: Princess Anne, Patron of the Royal College of Midwives. The Princess Royal unveiled a plaque to commemorate the day and the team were delighted. I was impressed by the efforts the team had gone to for the opening which was wonderful. Attention to detail as rooms, mood lamps and cake baking were all on show. But the most impressive thing for me was the women who had been involved in the Birth Centre development. They told me how they had been invited to choose colour schemes and bring their ideas from user perspective for the birthing rooms. There`s no doubt in my mind that midwives, students and support workers are facing some of the toughest challenges this profession has ever faced. The change in women’s expectations, the choice agenda, the emphasis on strong governance to support safe care, rising costs in healthcare v the NHS £22billion of productivity improvements as per the five year forward plan. Midwives really care about women and want to provide high quality safe care leaving women with a birth story they want to share with everyone in the present and in the longer term future. Speaking of student midwives, I meet many and speak at the midwifery society events and at the universities but some students really do go that extra mile. I am often left feeling humbled but reassured that the future profession is in safe hands when I reflect on who I have met and what I have heard and seen. A few examples below. Nicolette Peel 2nd year student MW and chair of Mummy`s Star charity. Abbey Milne, Kate Mortimer and Gemma Sykes Bradford University Midwifery society, RCM runner up award winners and a VC Outstanding achievement award from the University of Bradford. Paulina Sporek 2nd year student MW and RCM award winner for her Deaf Nest initiative. Anne- Marie Thomas chair of the RCM student MW forum. Jonathan Cliffe from Bangor University British Journal of Midwifery runner up award winner. He shares great practice via social media. I have chaired and spoken at many conferences all well organised and well evaluated but most have a degree of investment and resource which all helps towards a good event. However the one that always amazes me is the conference in March 2015 at Bolton, delivered by two clinical, passionate and caring midwives, Annabel Nicholas and Jo Carnac. They have delivered this conference twice now but on a shoestring budget and with no sponsorship. The high profile speakers, including Denis Walsh, Cathy Warwick, Sheena Byrom and Professor Soo Down and more always amaze me. How do these busy midwives deliver a fantastic conference whilst still managing to deliver quality maternity care in Bolton? 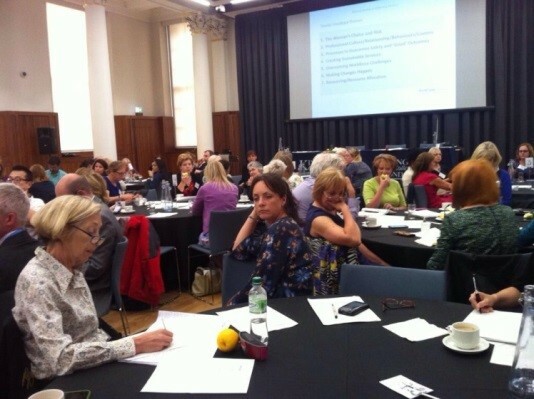 Another important event which I attended as I run around the country was the recent Birth Tank event in London hosted by the NHSE Maternity services review team. The chair is Baroness Cumberlege and there are a lot of prestigious stakeholders involved including the RCM’s CEO, Professor Cathy Warwick. See link for further information. There was a lot of discussion about the need for continuing investment in maternity care whilst balancing this with the reality of the financial challenges within the NHS. Many stakeholders have concerns regarding the future model of maternity care as we realise the need to consider working differently, smarter and more efficiently whilst improving outcomes and ensuring women and their families have a positive birth experience. That’s a huge challenge: I came away feeling positive but at the same time a little anxious. Will postnatal care still be part of the women’s journey or is this something that will not be prioritised in the future as difficult financial decisions are made. I sincerely hope that postnatal care remains a priority for the NHS Review team. As I travel and run across the four corners of England, I am feeling positive and this is due to seeing for myself many outstanding and committed midwives, teachers, leaders, students, support workers and medical staff across the country providing wonderful maternity care. From the North of England, to the Midlands and the South, the determination to provide safe and high quality care is driving improvements in maternity care forward. The commitment to get care right for women whilst balancing the ‘Choice and safe care’ agenda is obvious as I meet maternity teams and hear for myself about their commitment. The agenda for maternity care almost feels like it is stepping up from a marathon to a triathlon and our challenge is, are we ready for this? The antenatal swim – Sometimes swimming against the current (barriers of rising costs) to achieve the standards and quality of antenatal care women deserve. The run towards the finish line –Where a healthy baby is born and the close relationship of parenting between mum, her baby and partner begins. 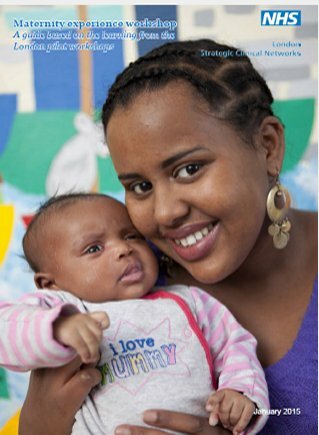 Giving the infant the best possible start in life supported by quality postnatal care. (Good postnatal care). Can I see the finish line? What I can see is that across England there is a commitment and serious determination to get maternity care absolutely ‘spot on right’. The leaders of the services within my profession the Heads of Midwifery (HOMS) are committed to improving care and working towards the ultimate finish line: Where every woman has a positive experience and a healthy outcome. But also a commitment from the profession itself. Midwives care about women and their birth experiences. 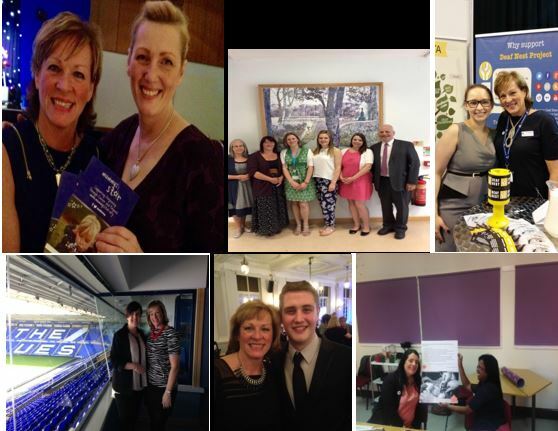 Midwives like Sally Goodwin, Jenny Clarke, Jude Jones and many other fantastic midwives I meet. There are barriers and challenges to be overcome but the ‘will’ to get it right is definitely there. Where am I running to next? Today my running shoes are taking me to the opening of the Greenwich Birth Centre at the Queen Elizabeth Hospital in London. 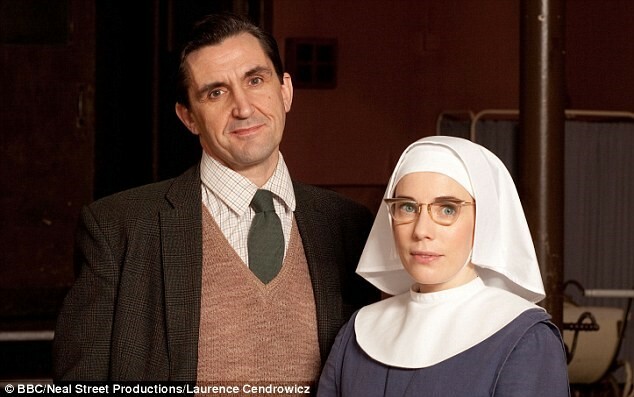 We are joined by fabulous “Call the Midwife” actress Laura Main who will be opening the birth centre and I will be joining her. I am really looking forward to meeting the team again. I have visited a few times and watched this team grow and develop as they have come through some challenges that merging Trusts and reconfigured services bring. This is a maternity service with strong leadership and commitment to the women. The new Birth Centre is beautiful and has been thought through carefully. The team have worked multi-professionally to get the Birth Centre absolutely right and involved local women in its development. When there is a Birth Centre opening there are always mums, midwives and cake and Greenwich is no different. The cup cakes have been made by Head of Midwifery, Helen Knower and I am definitely looking forward to tasting these little tasty delights made with love, compassion and a willingness to get the maternity service “spot on right” for women and their families. Jackie Moulla, Consultant Midwife, has made some amazing little croc shoe cakes, reflecting the fact Lewisham and Greenwich were one of the Whose Shoes? pilots. 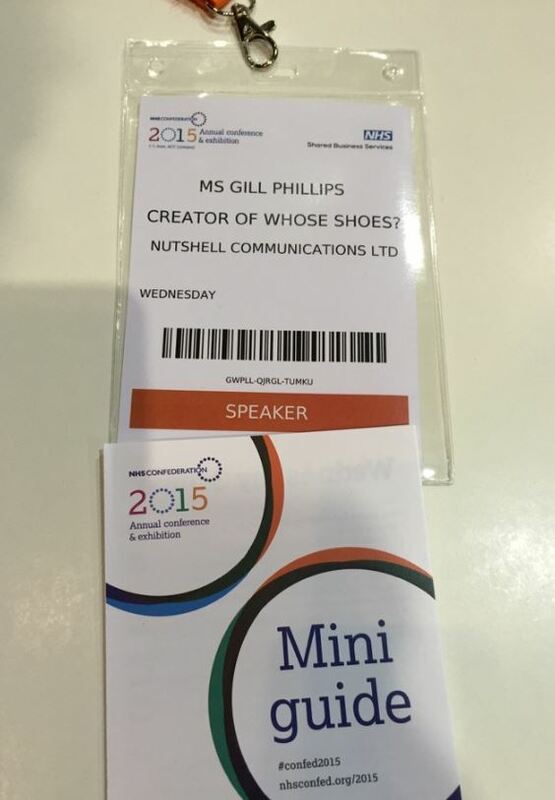 Thanks Gill Phillips @WhoseShoes for the opportunity to guest blog. Thanks to Cathy Warwick and all RCM colleagues, particularly Louise Silverton and the wonderful Midwifery Directorate and the Country Directors at the RCM, for their continued help and support. Alison chained to the railings. As you do. If the technology works, this blog should go live at a very important moment. I am delighted, but not at all surprised, that Alison Cameron has been included in the first ever list of HSJ Patient Leaders. And I will be there with her, as her guest in Birmingham, chatting to her lovely dad and enjoying every minute. 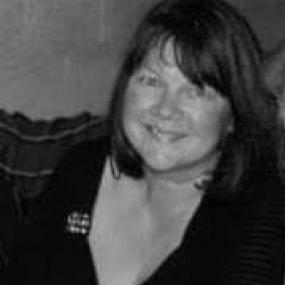 I was delighted to nominate Alison and also one or two others who have been successful, including my good friend Ken Howard and inspirational #MatExp leader Leigh Kendall. What a triumph for #HugosLegacy. 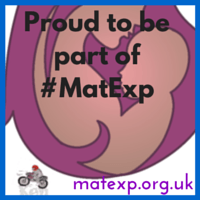 It will be nice that Alison already knows Ken and Leigh has used the logo that Ken designed for our #MatExp campaign. All the different strands coming together and interweaving; people rather than labels, just what I love. But this is about Alison and I was delighted that Alison uses a cricket analogy. This is a lovely combined tribute to her dad and to me, as you will see in her blog. We often have a bit of banter on Twitter about cricket. Alison has already written her story in three parts on my blog. Parts one and two described the trauma that led to her illness, and her long-term experience of disjointed care, causing her to fall through the cracks (chasms?) in the system. Part three was triumphant last year when we were both delighted to be listed as HSJ Inspirational Women. This is part four. When this fourth blog for Whose Shoes? goes live, Gill and I will be up to mischief again as Gill teams up with my Dad as my guests at the first HSJ Patient Leader awards in Birmingham. The down side of course is that I will have to listen to a lot of cricket talk. I was brought up around cricket with abiding memories of Mum trying to get grass stains out of whites, me cutting crusts off endless rounds of salmon paste sandwiches and Dad regularly damaging an appendage or two all in the name of the game. Dad is still involved with his old club in Buckie and coaching primary schools kids at 70 something. Gill too is from a cricketing family with her son being an up and coming cricketing star. Am stumped to come up with enough cricketing metaphors but suffice to say I am truly bowled over. It is a very special thing to be recognised for my work putting my experiences of using health, social care and housing services to good use. I am hopefully planting seeds in the minds of professionals who will go on to make changes in the way they work, and in patients who might through hearing me realise that a long term health condition can be a start not an end point. Occasions like these give me a chance to reflect on how far I have come which I can forget to take time to do. Nine months ago I finally felt confident enough to start working for myself. After seventeen years since illness forced me to give up my international relations career which caused a downward spiral into homelessness and hopelessness I finally took the plunge into working for myself. This took a real leap of faith. I was dependent on Benefits and subject to the constant round of form filling and assessments not to mention the relentless barrage of judgement from the likes of the Daily Mail. It is hard to have self-belief after such an extended period of dependency. Being on Benefits is not easy nor pleasant but it became safe through familiarity. By making the decision to come off Benefits I was making a declaration that I felt I had worth, that I had something that people might consider worth paying for. I had struggled for a long time to see myself as anything other than a bundle of symptoms and problems to be solved so this involved redefining my entire identity. It was a very scary thing yet it was exhilarating and exciting at the same time. I could not have done it without support from people like my Dad who has always stood by me, Gill and Gill’s Mum whose encouragement of my writing was a real turning point, from Mark Doughty who coached me through a lot of the dark woods in which I often failed to see the trees until I bashed right into them, and from Helen Bevan who saw something in me early on that I just was not ready to see myself. Thanks to all of them and many many more and I am now being paid to do work that I love. I work with Helen’s fantastic team at NHS IQ Horizons Group writing and curating for The Edge online change leadership hub. I am now at the Kings Fund as an Associate contributing to Leadership programmes and other work across the Fund. I get particular pleasure though from working with people at the start of their careers. This September for example will be the second year running I have talked to the new cohort of the NHS Graduate Scheme and I have also had the privilege of working with nursing students at Southampton University. I thought my diagnosis represented the end of my useful life but in fact in turned out to be the beginning of something more important and more real than what I did before. We patient leaders or however we choose to define ourselves, are in fact a very useful, very active lot. We turn up over and over again to give all we can with often little return to help make things better for our NHS and other services that we use often across seemingly insurmountable barriers. We can get drained, negated, used, at times abused, misunderstood but also at other times appreciated respected, valued and at times like this even celebrated. We come in all guises, a motley crew if ever there was one, beavering away in whatever roles we have ended up in – as activists, community champions, peer supporters, researchers, quality improvers, critical friends, teachers, trainers, coaches, designers, innovators, representatives – unusual suspects if ever there was such a thing. We even have our first Patient Director in the shape of David Gilbert. What unites is not the specifics of role but the way we work. The NHS Leadership Model describes a leader thus “the most important element comes from a combination of emotional expressiveness, self-confidence, self-determination and freedom from internal conflict” and is more about how we manage ourselves than manage others. These are the qualities of a “patient leader” too rather than someone merely called upon to recount their patient story. It is about a mindset, how we collaborate, know how to ask the right questions, and understand when to use our personal experiences and when to leave them at the door. Yes, we might demand that professionals walk in our shoes but we are prepared to walk in theirs too. We have learned to manage our own health conditions, and made the choice to move from self-management to self-leadership then on however we choose to do so, to leading change in the wider system. Combining our leadership qualities and personal insight with professional expertise is not forcing professionals to lose power, it is creating a stronger power base so there is more of it to go round. This is a source of new power that the NHS and social services cannot afford to waste. I love what I do even though it can frustrate and drain me. For a long time my motivation to push for change was based on a combination of anger and survivor guilt. Over time this has changed and I realised that my work gives as much to me as it does to the people with whom I am working. There is something really special about seeing the spark of ideas light up in people who are hopefully going to go on and use this way of thinking and working in their future careers. I am regularly moved to tears when I see my experiences and how I relate them lead to a lightbulb moment for a student or healthcare professional. A real milestone this year was being asked to be a keynote speaker on the final day of the NHS Confederation conference. The response was overwhelming and amazingly I ended up being ranked Top Influencer of the conference with someone called Jeremy Hunt coming in at number two. More important though was the fact that Dad watched it up in Scotland live on the internet and told me it made him emotional. It is not easy for my family to hear the darker side of my story so the fact he felt proud of what I did meant a huge deal to me. Also after my speech a patient approached me who had had a stroke and through his carer told me that what I had said had given him hope for something he could achieve in his own life. These are the things that really matter. My speech that day was about my journey from disembodied, disempowered patient “voice” to patient “leadership”. How can “patients” – a term I used deliberately for its connotations of passivity – possibly be “leaders”? It depends on how we define Leadership. We can judge it by place in the hierarchy, by salary levels, by the material indicators of “success” but in my view it is not about those things. To return to cricket it brings to mind a quote from former Scotland and Indian cricket player Rahul Dravid (whom my Dad has met in Fochabers he tells me). These are the very qualities that we celebrate at the HSJ Patient Leader awards. I love it when I find the right partners. We see the opportunity to do something imaginative together and we just get on and do it. ‘JFDI’ It is one of the biggest advantages of being a small organisation. 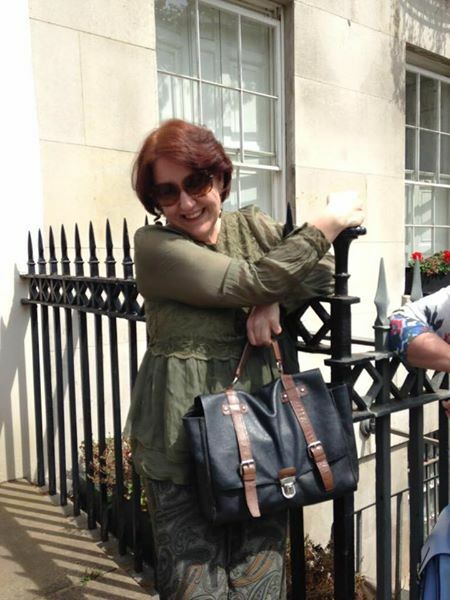 And so it was when Kath Evans, whom I nickname ‘can-do Kath’, invited me along to a focus group in London as part of a project to develop materials to run training courses to improve communication between healthcare professionals, children and young people and their parents. The focus group was great and it was really helpful to hear first-hand what the key issues were. 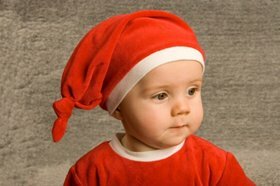 And health care professionals who may or may not know much about communicating well with children, especially if they are not paediatric specialists. Getting it right – for every child and family, consistently – is a huge challenge but so, so important. It turned out that the project was sponsored by Great Ormond Street hospital and the London Local Education and Training board (LETB). The short version of the story is that they had the source material and I had the Whose Shoes? toolkit to bring the conversations alive; we put them together to meet the identified training need in an innovative and engaging way. 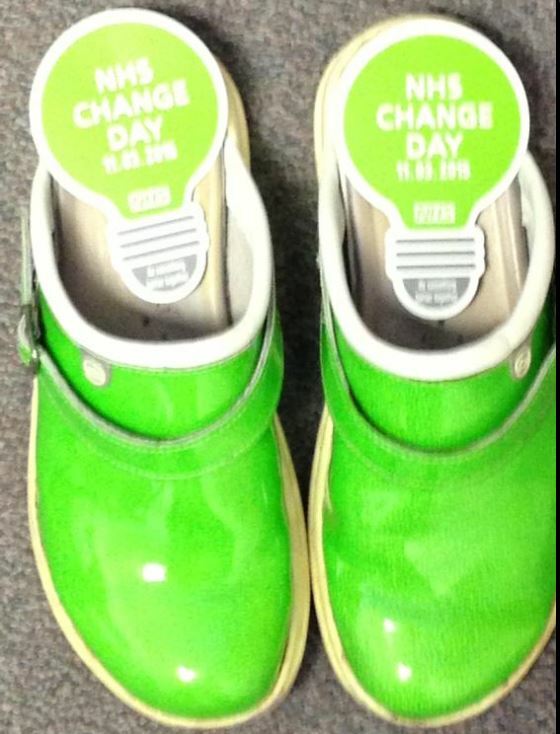 Kate Martin, from Common Room, who is leading the training programme was luckily able to come along to the Whose Shoes? 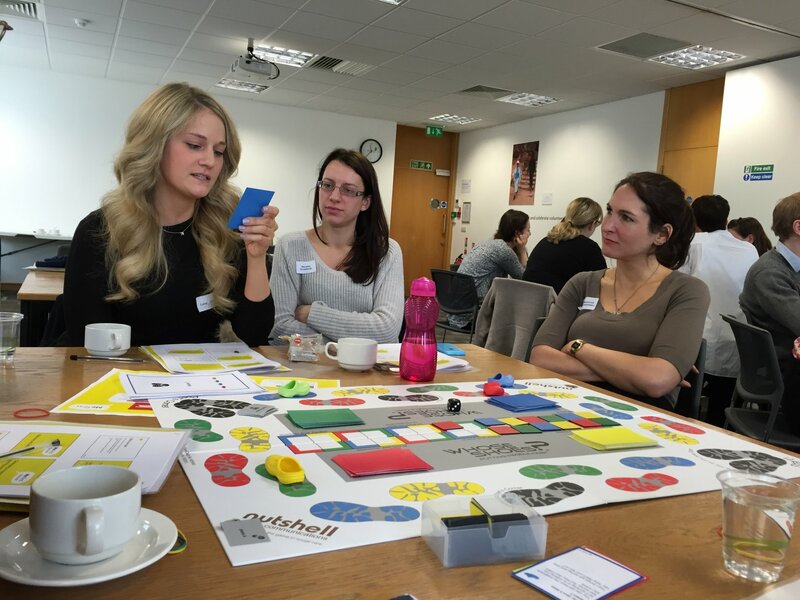 ‘Train the facilitator’ session we held in London, as part of the maternity experience project. This meant that she was able to experience the tool in action and this helped to find how it would best fit with the children’s project. From a multitude of crowd-sourced scenarios, the final ones were chosen and we were ready to go. Three pilot sessions were held in quick succession. I was lucky enough to be able to go along to the final one. I felt a bit sorry for Kate as all the project sponsors turned up to the same event, so it must have been slightly daunting. Participants had all volunteered to come (no-one press-ganged! 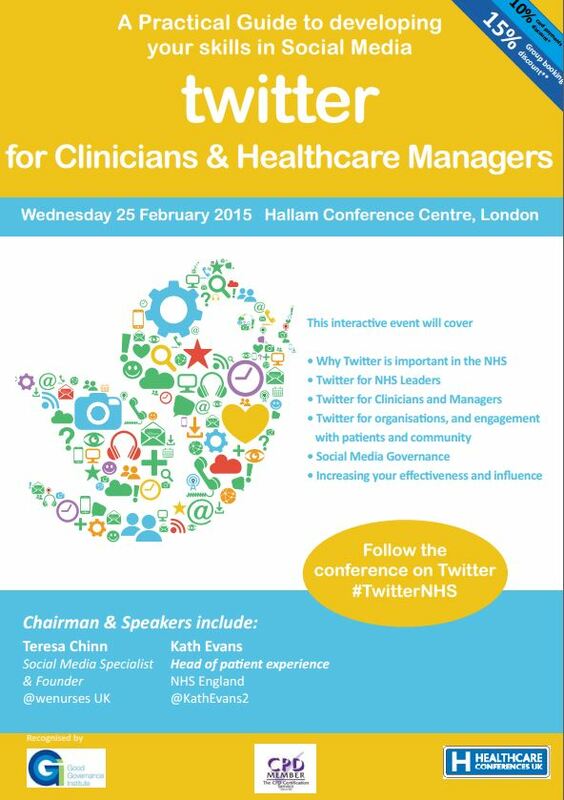 ): a fantastic mix of health care professionals from hospitals and organisations right across London. It was clear that this was a highly skilled audience. These people were passionate and knew the ins and outs of communicating with children and young people. They brought examples from their own practice that were extremely tricky and testing. We used Whose Shoes? in the morning session to get people thinking creatively and opening their minds to imaginative solutions. The session was buzzing – it is always good when people don’t want to stop. I was impressed by the sharing of challenges and solutions. In the afternoon the learning from the earlier discussions was applied to specific scenarios and it was wonderful to see some extremely practical ideas being formulated. I was ‘’teamed’ with a dietician and a diabetes specialist and we explored ways to get some of the most ‘resistant’ young people to adopt heathier choices. The project is proving extremely popular and with great feedback. This is the kind of project I love: values-driven approach and the opportunity for real sharing between hospitals. Inter-professional learning. Breaking down the silos. If you are interested in taking part, there are further workshops coming up in July and September. Contact info@mefirst.org.uk. Postscript. In putting together this blog, I have just spotted the most amazing co-incidence. Ali Gardner was one of my very first customers and a fab Whose Shoes? champion – we have done a lot of really creative stuff together. And here she is praising Kate Martin, her ex-student. 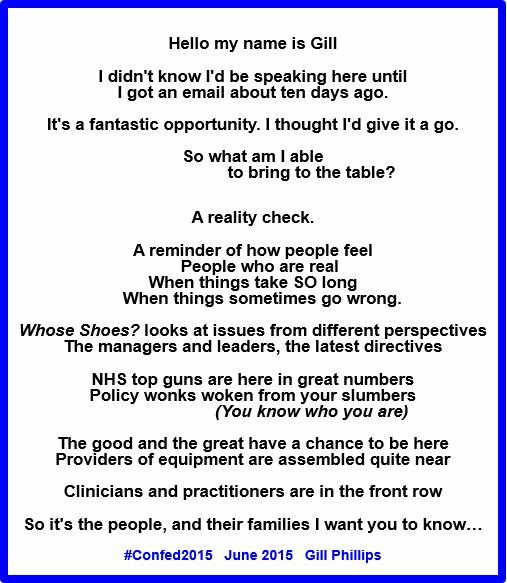 Posted on June 6, 2015	by Gill Phillips - Whose Shoes? 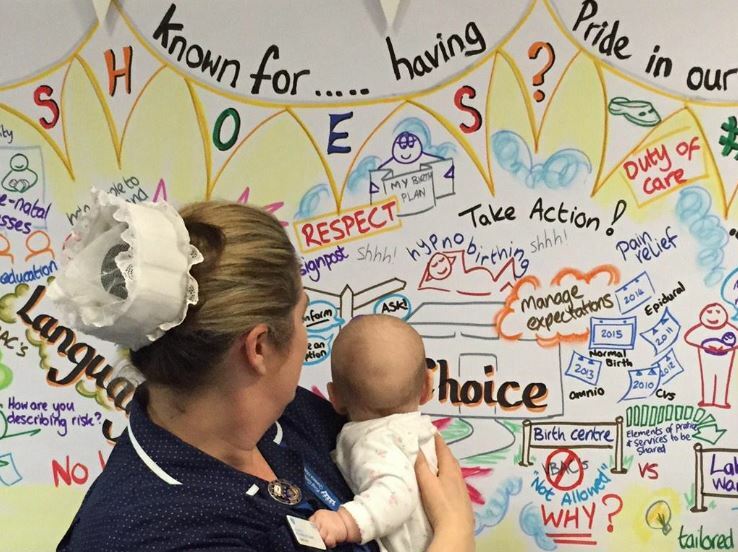 Fantastic new blog by Helen Calvert @heartmummy rounding up the first week of our #MatExp ‘month of action’ for #FlamingJune. SO proud of our JFDI Mums who are proving you really DON”T need permission. 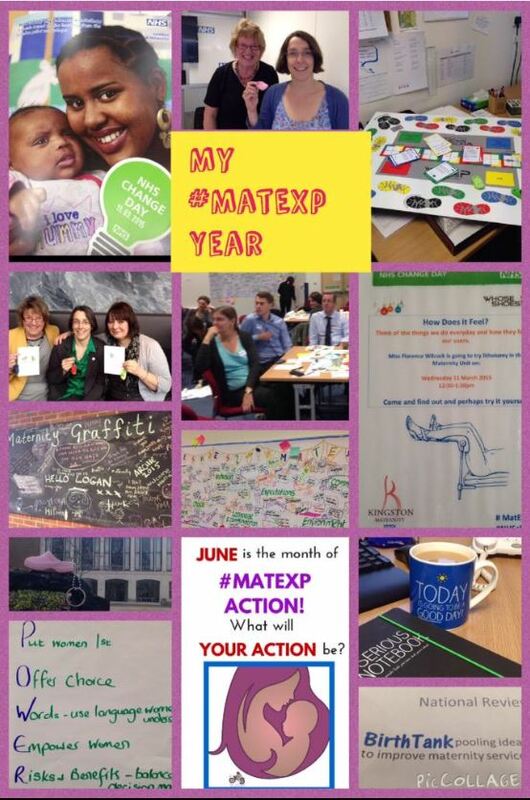 We’re one week in to the #MatExp #FlamingJune Month of Action and it has been a BUSY week! So much activity on Twitter and on Facebook – and of course, the brand new website. In amongst all of the excitement, I have identified four ACTIONS that I will focus on this month for the campaign. The first of these is to SPREAD THE WORD.